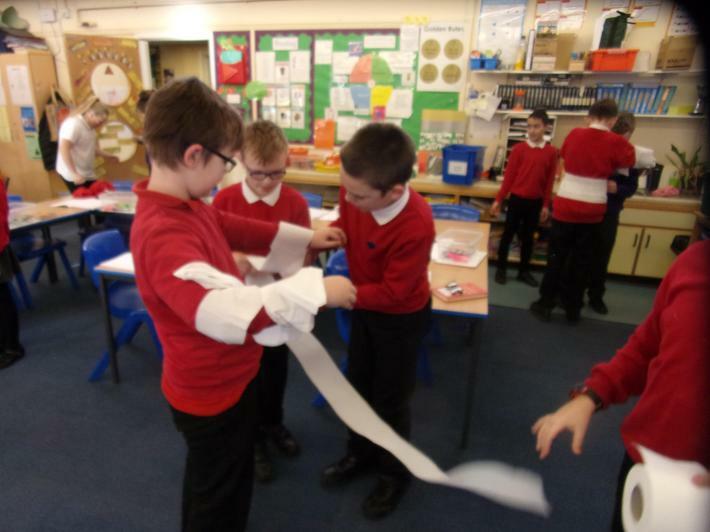 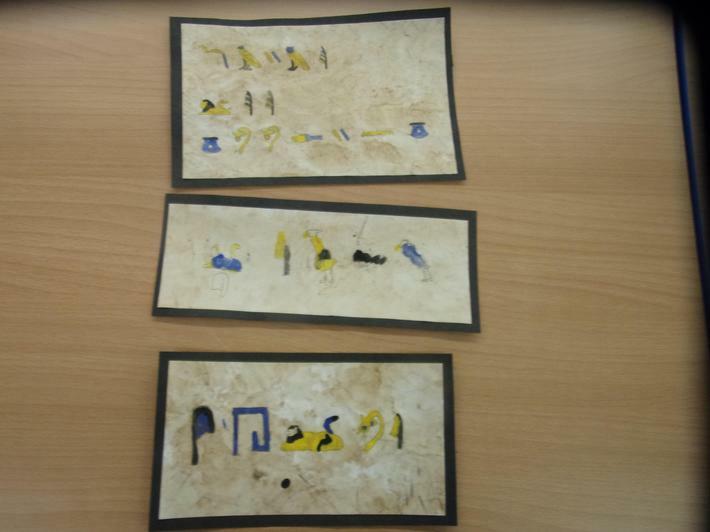 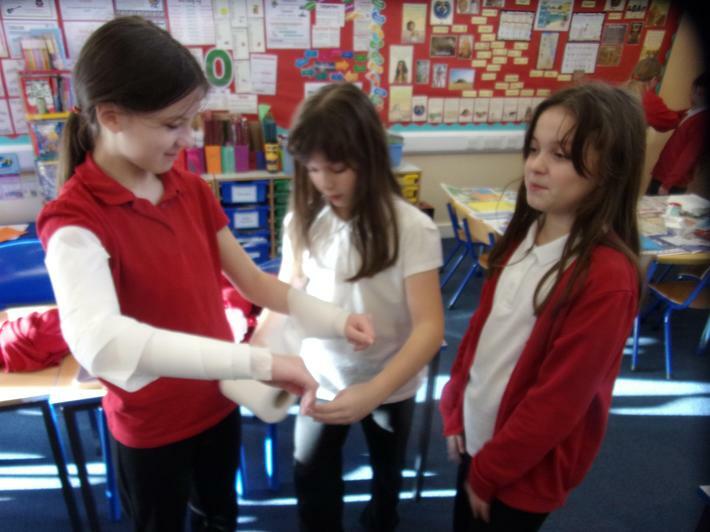 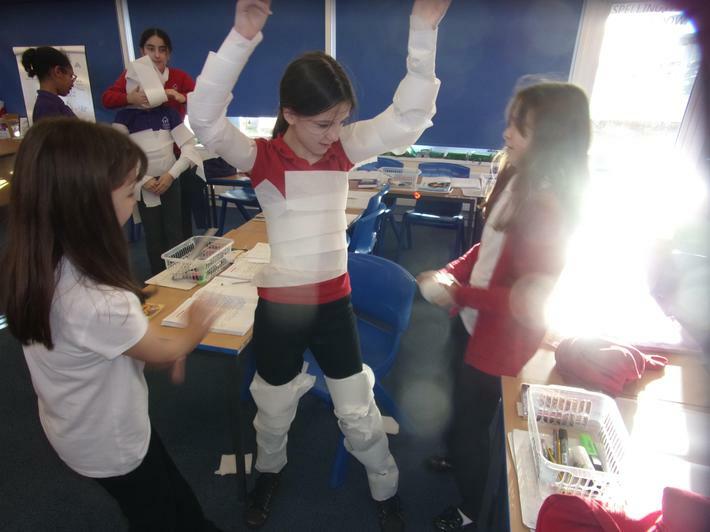 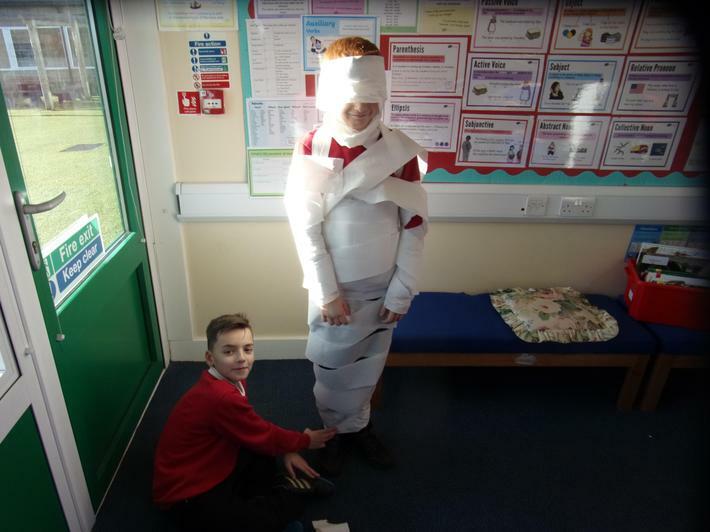 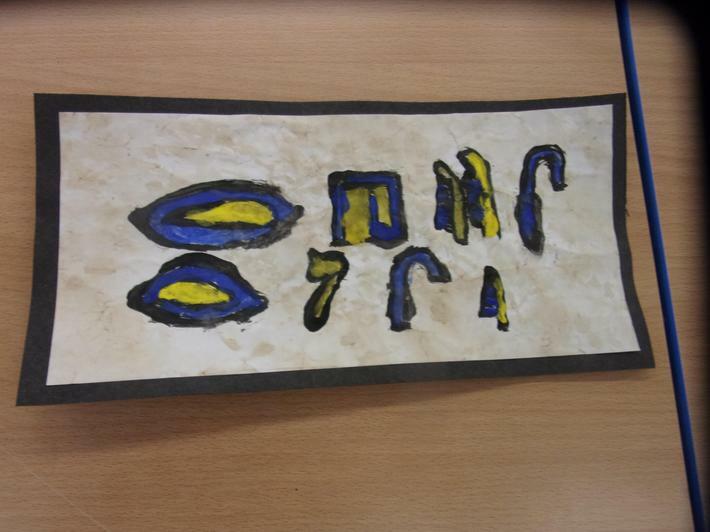 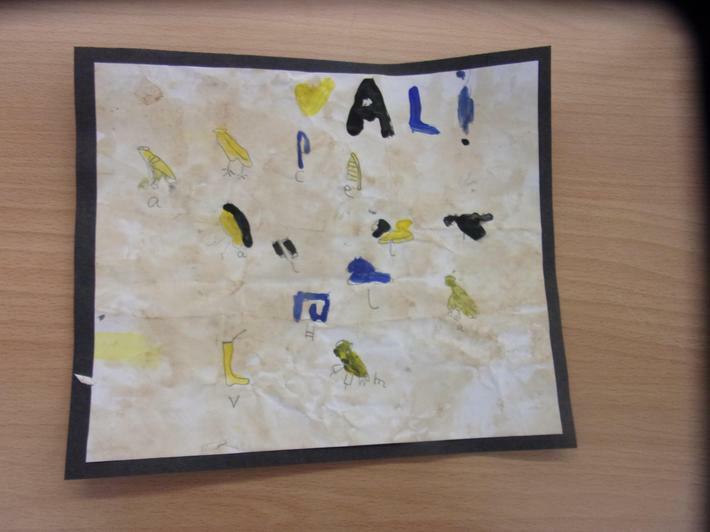 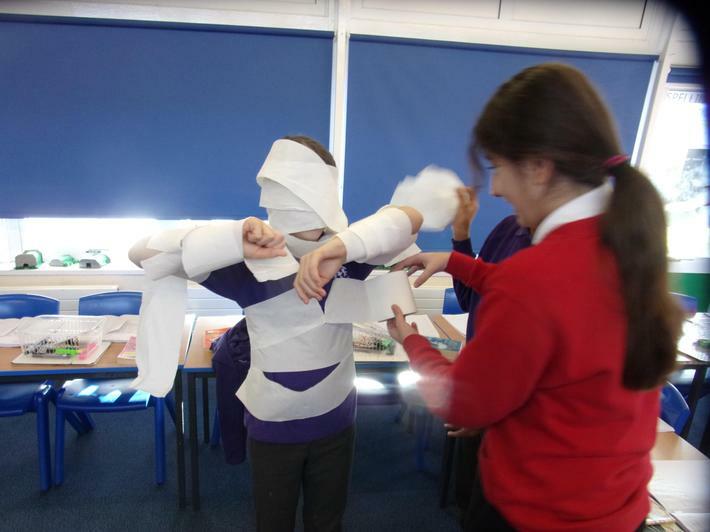 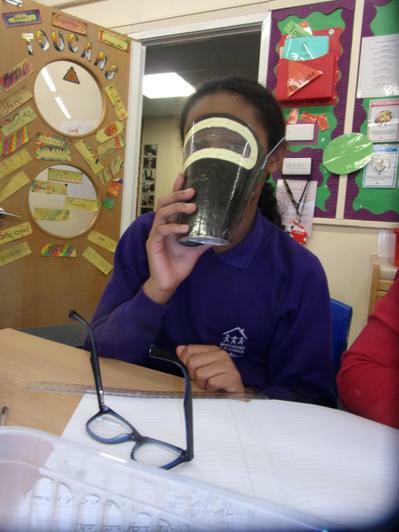 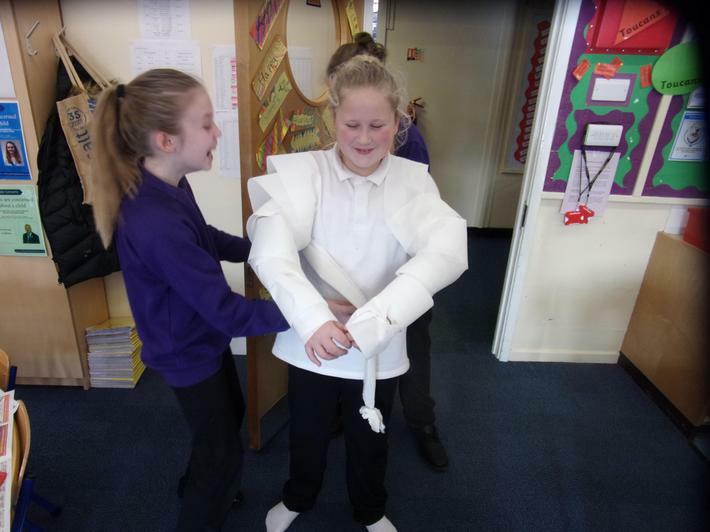 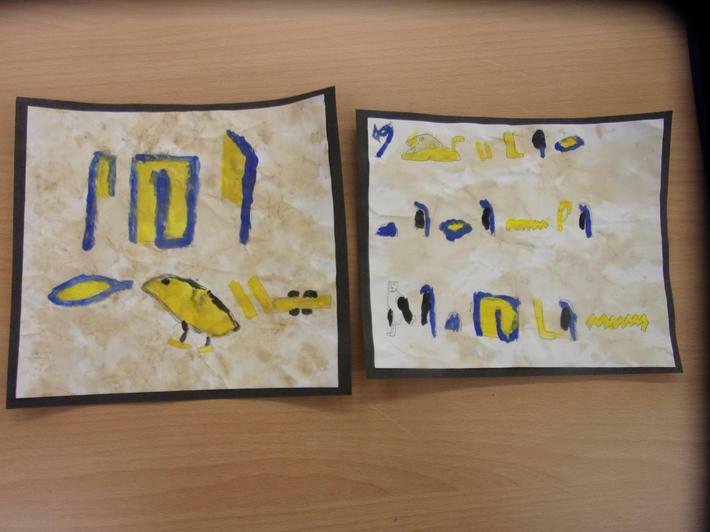 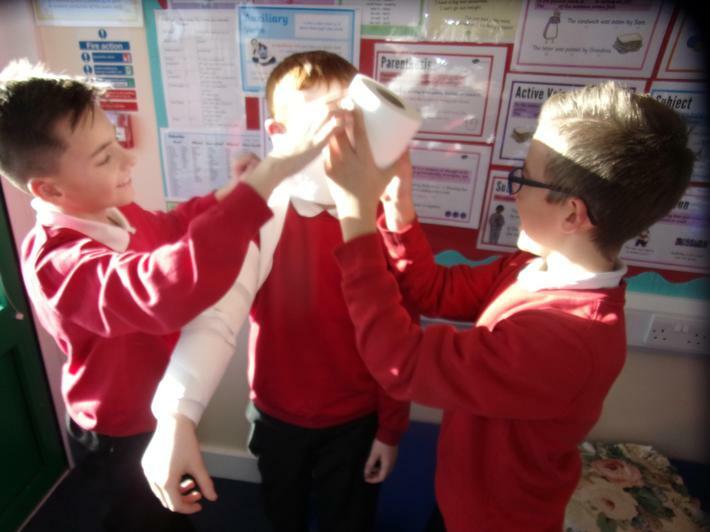 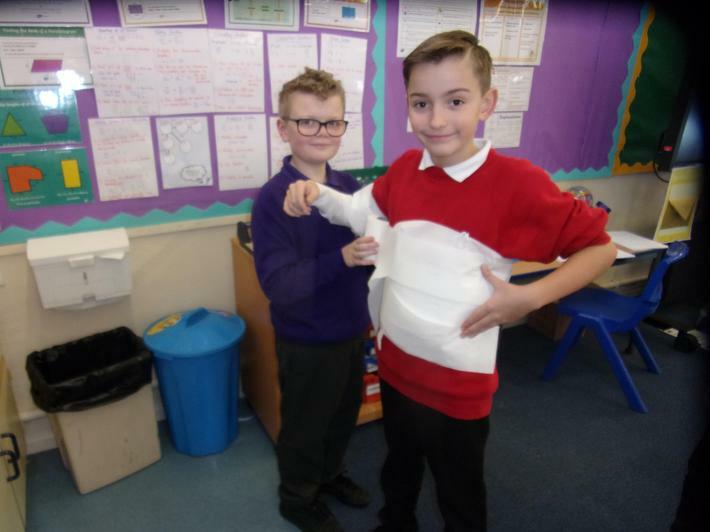 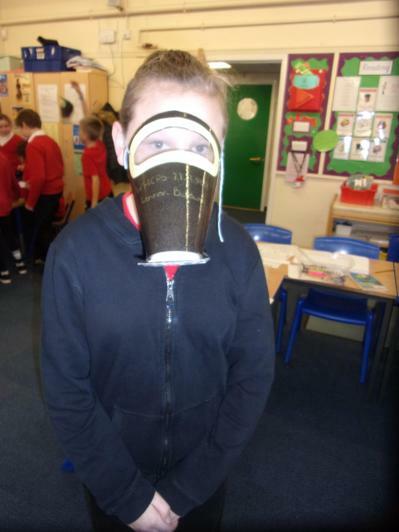 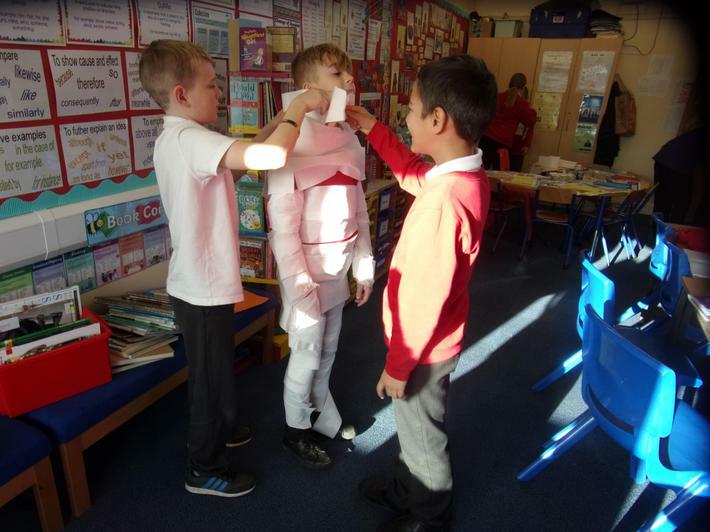 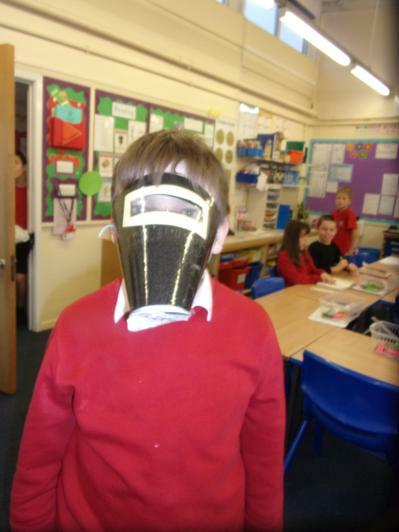 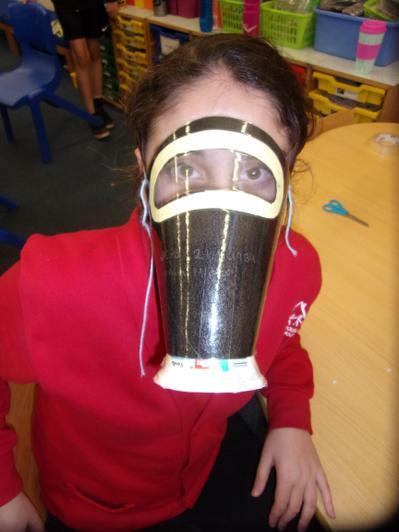 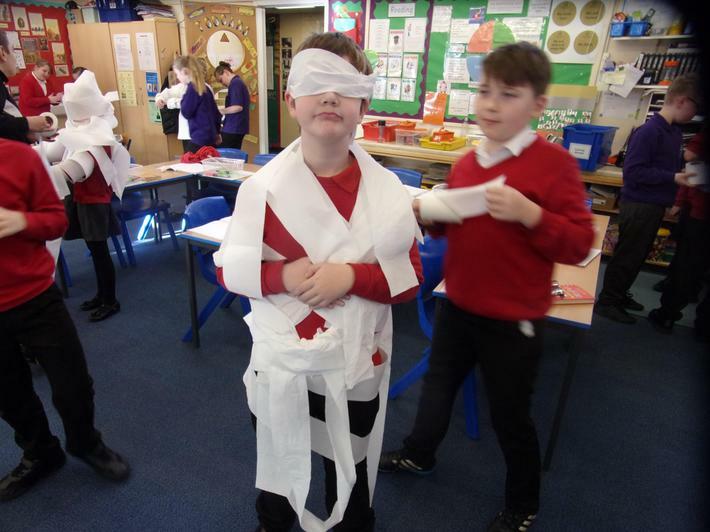 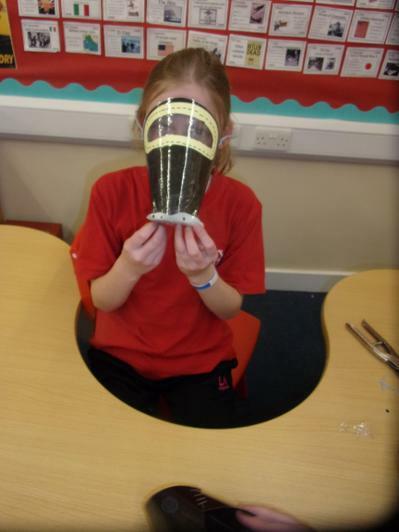 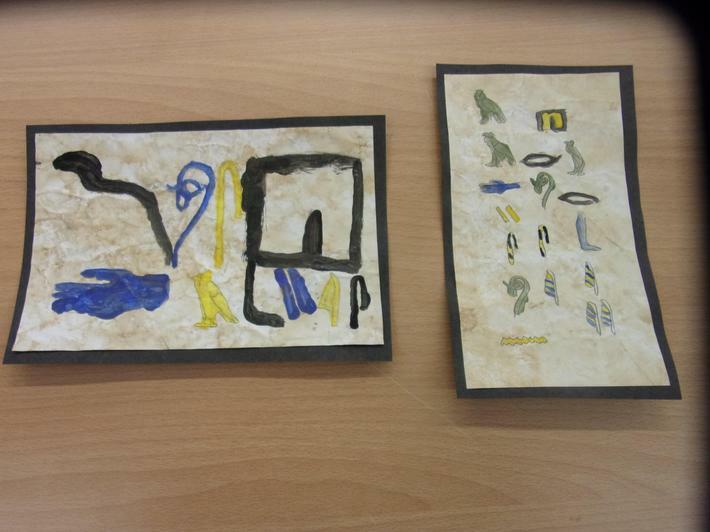 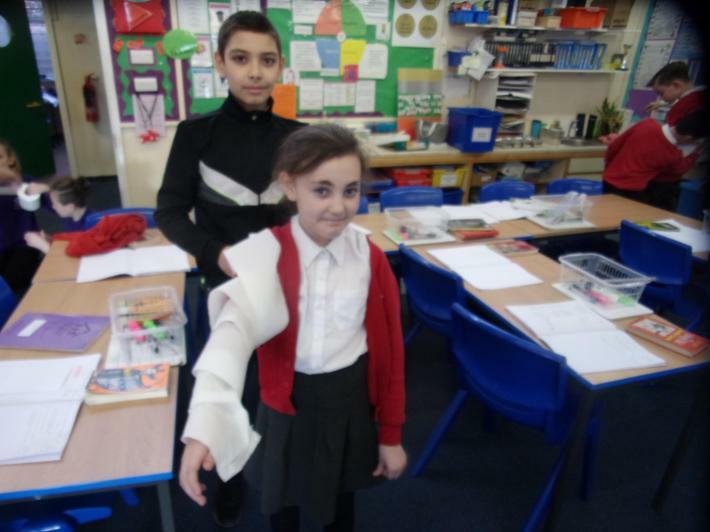 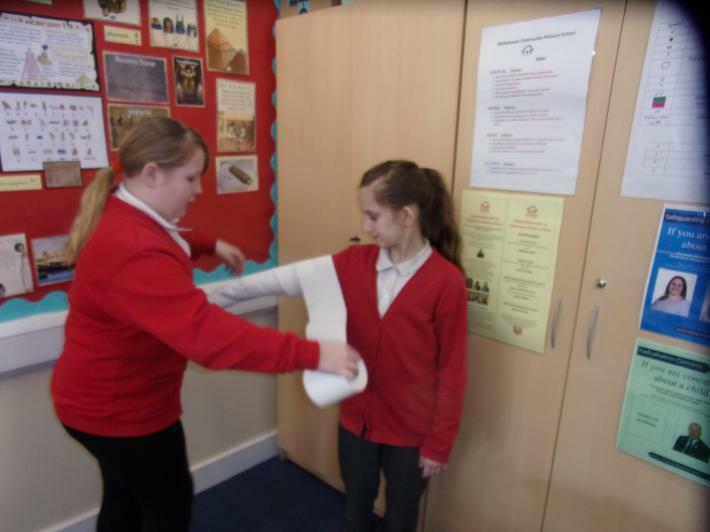 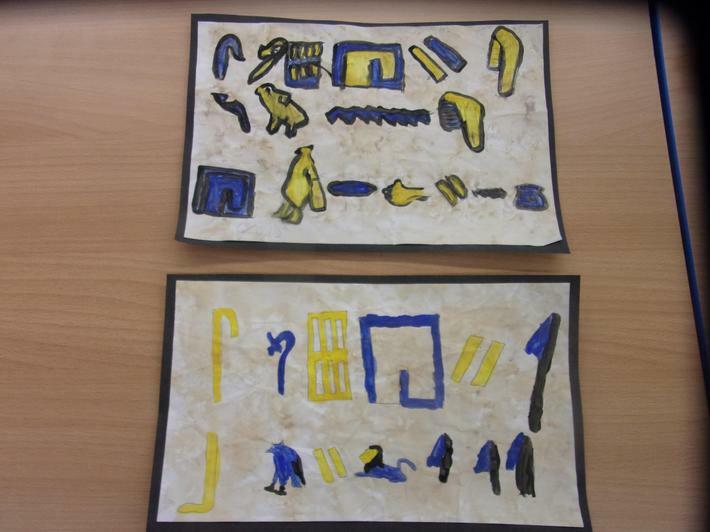 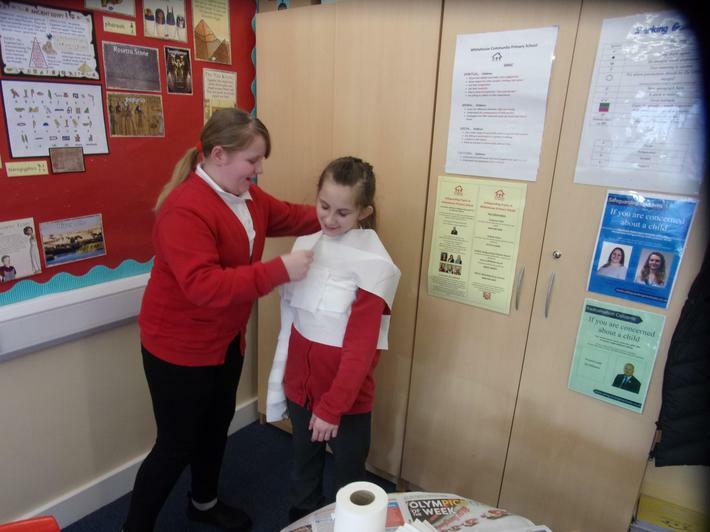 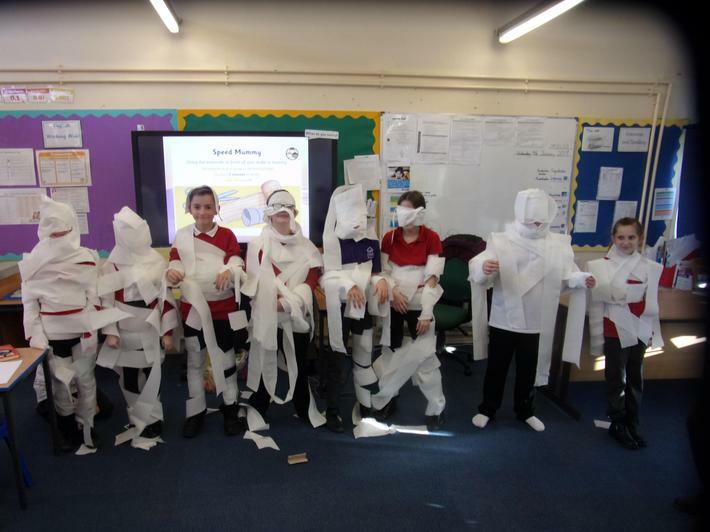 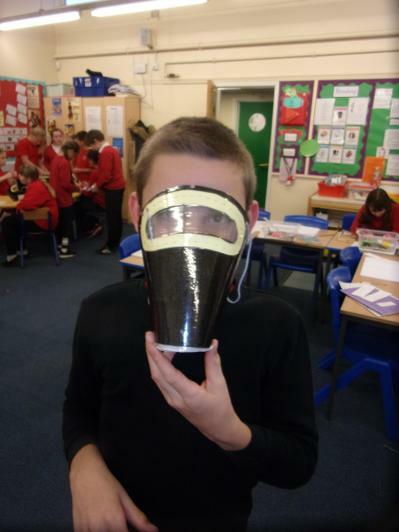 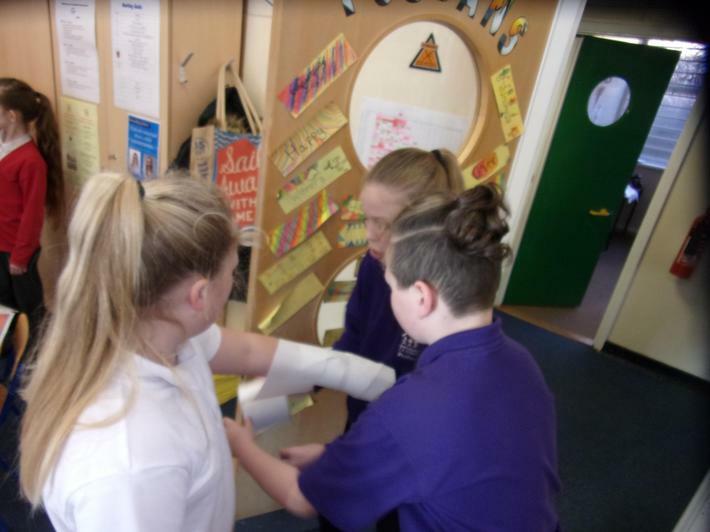 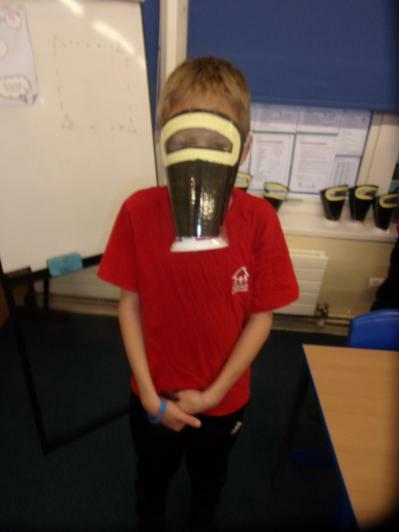 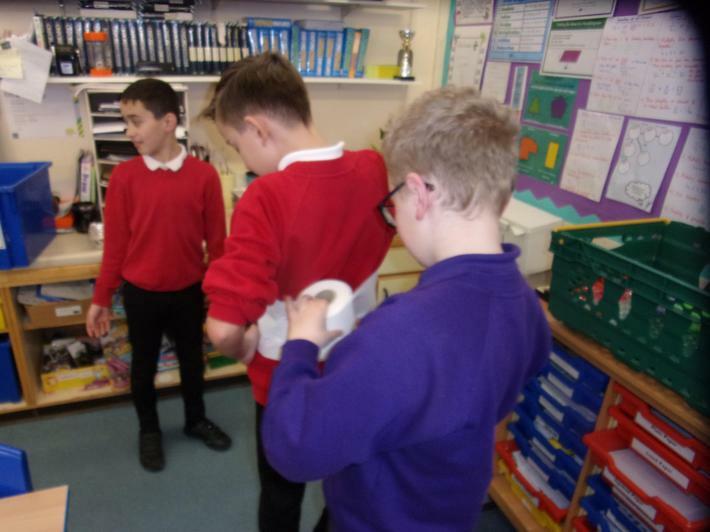 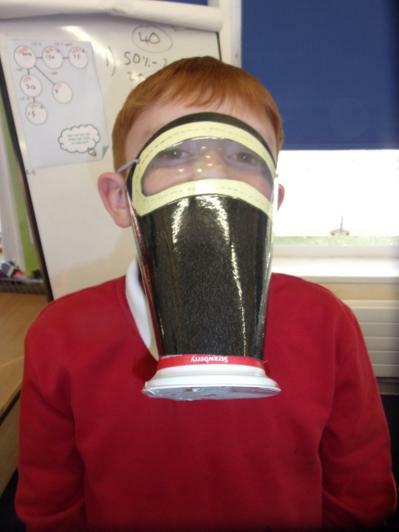 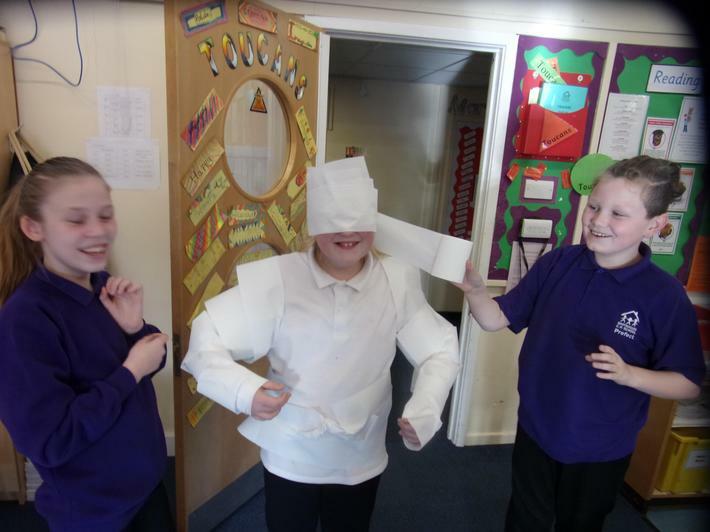 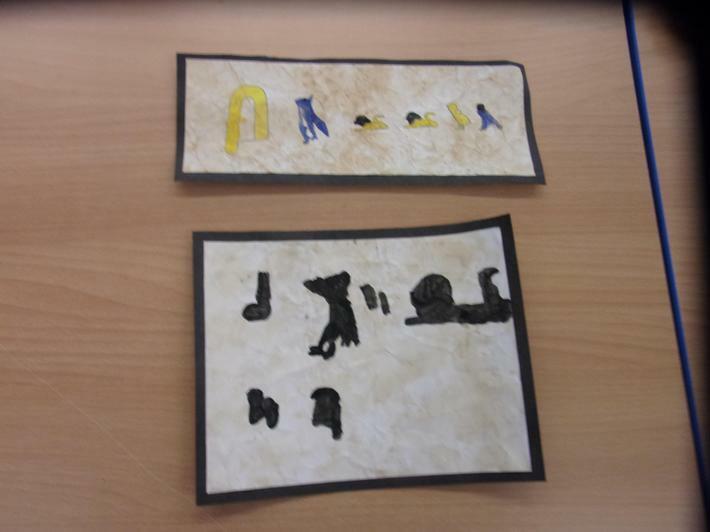 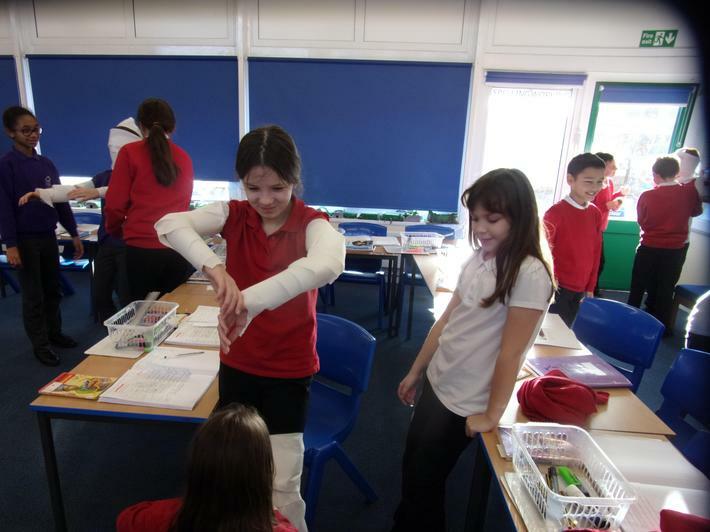 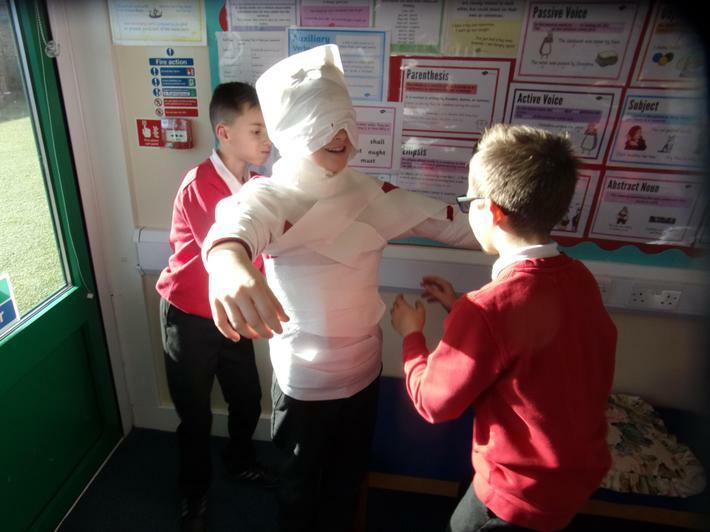 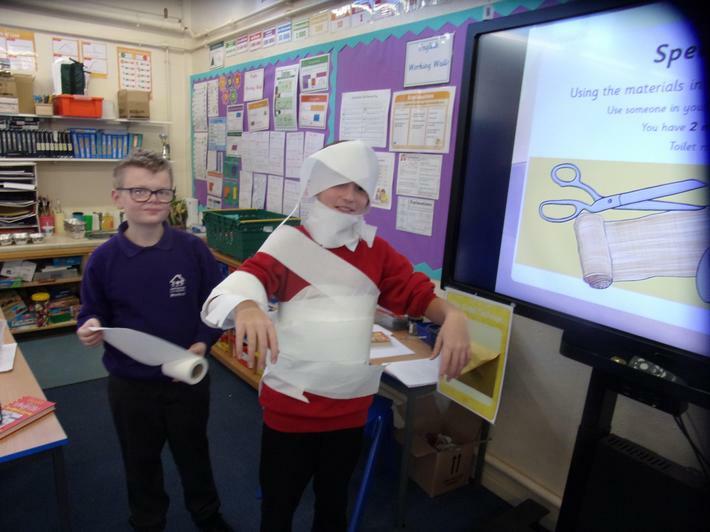 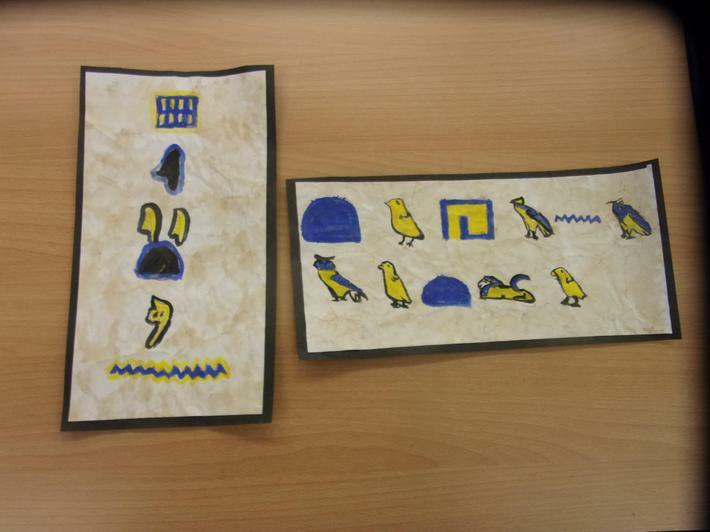 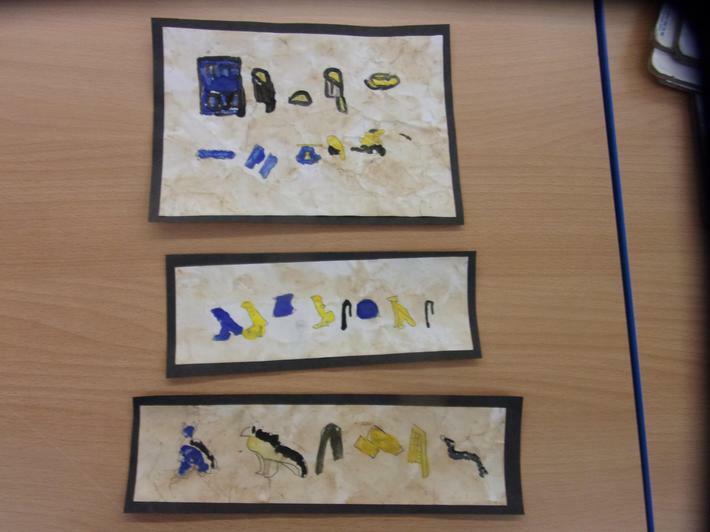 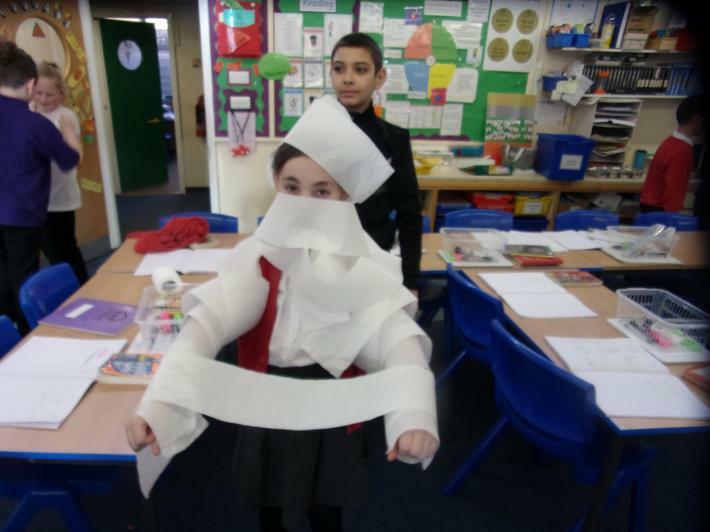 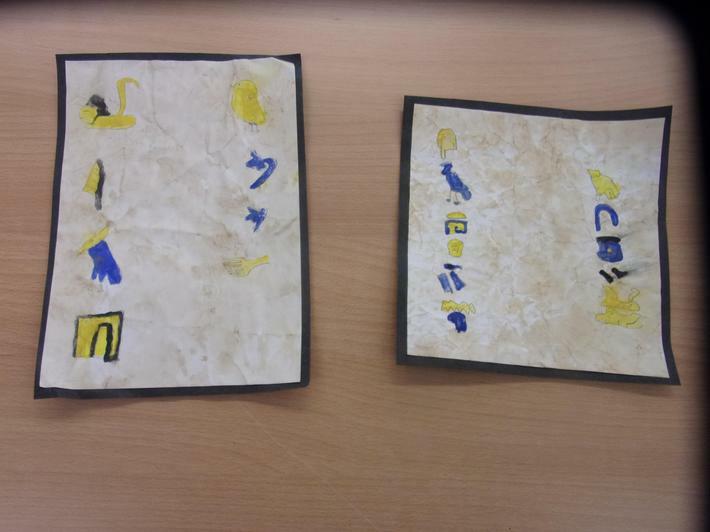 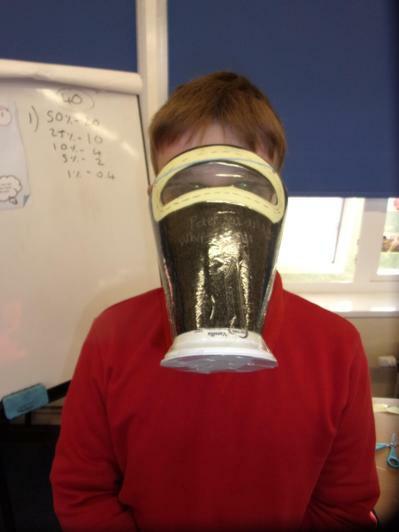 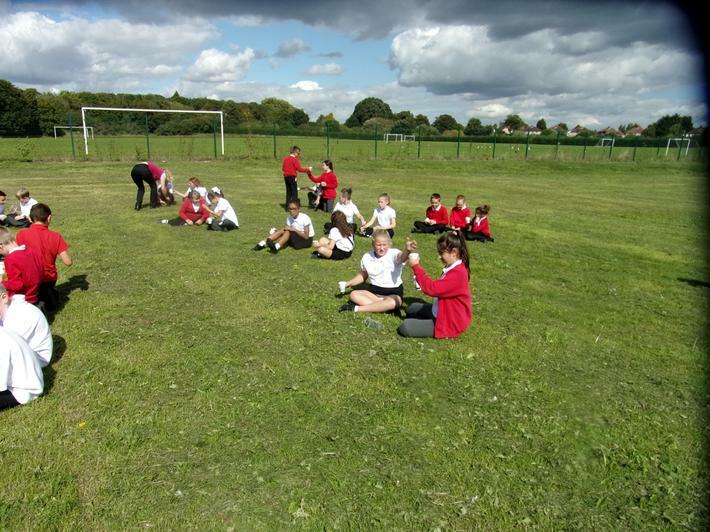 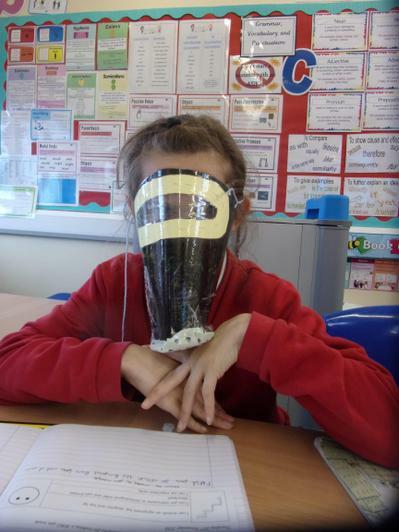 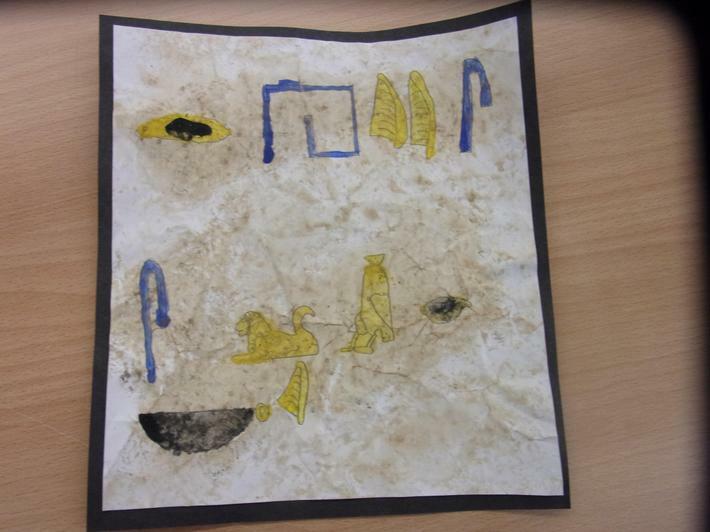 Ancient Egyptians - Toucans really enjoyed turning each other into mummies! 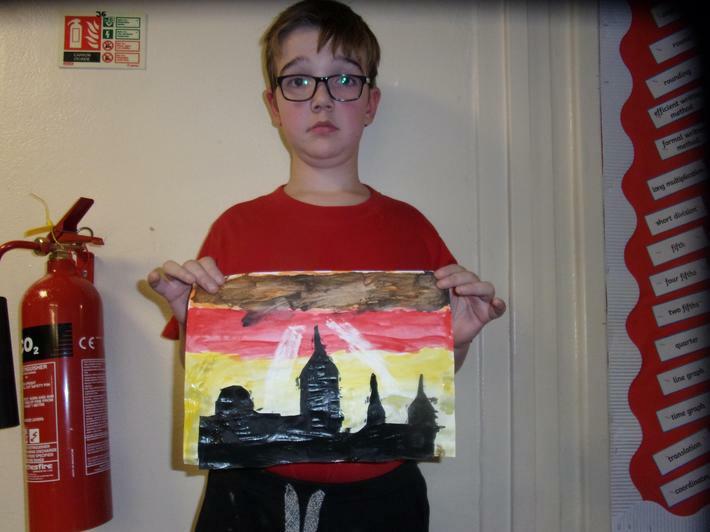 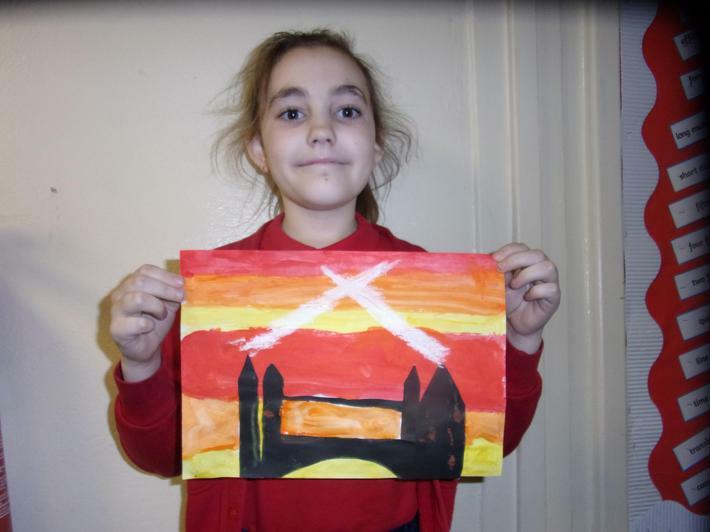 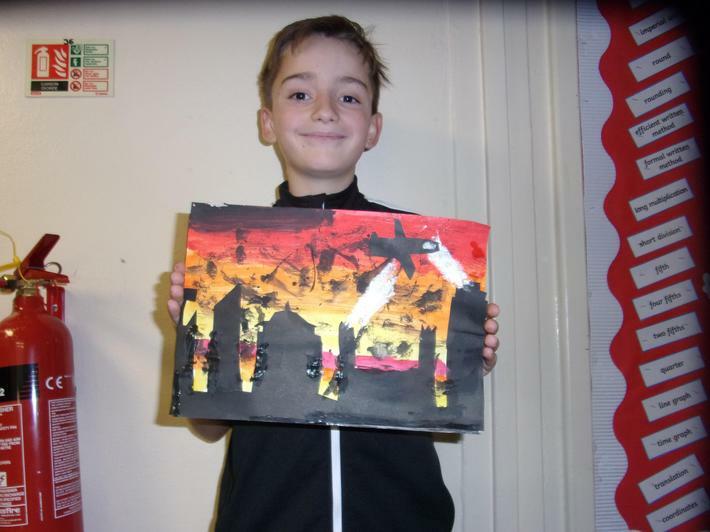 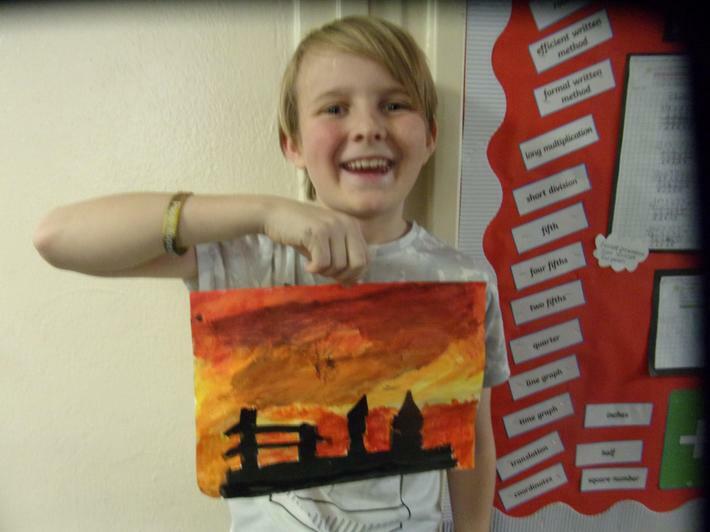 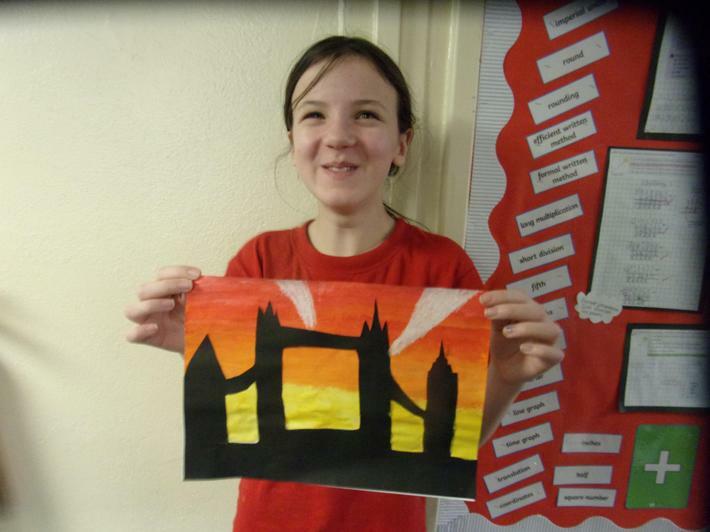 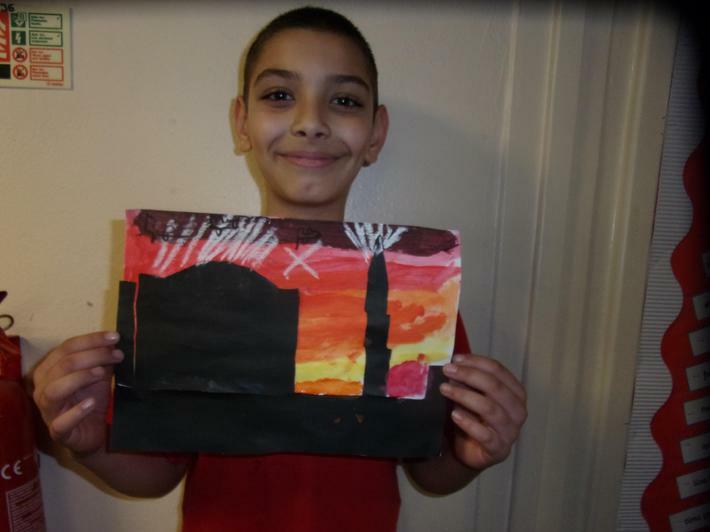 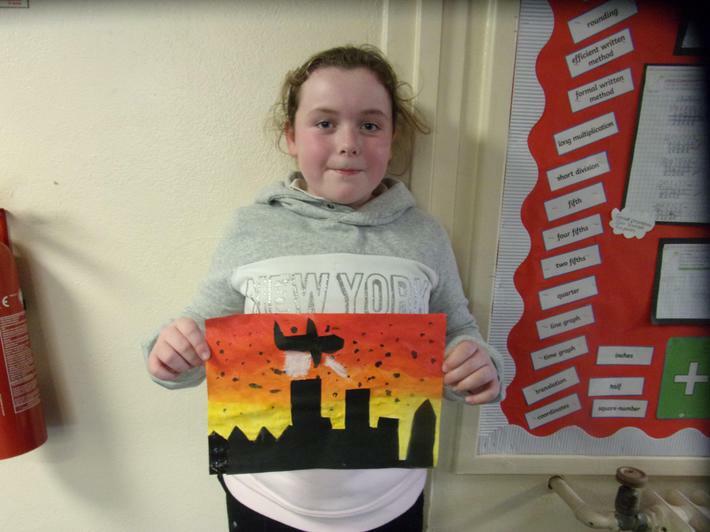 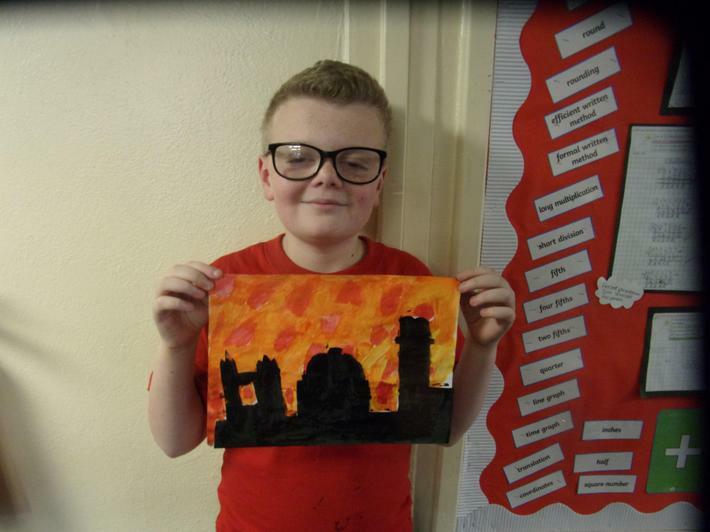 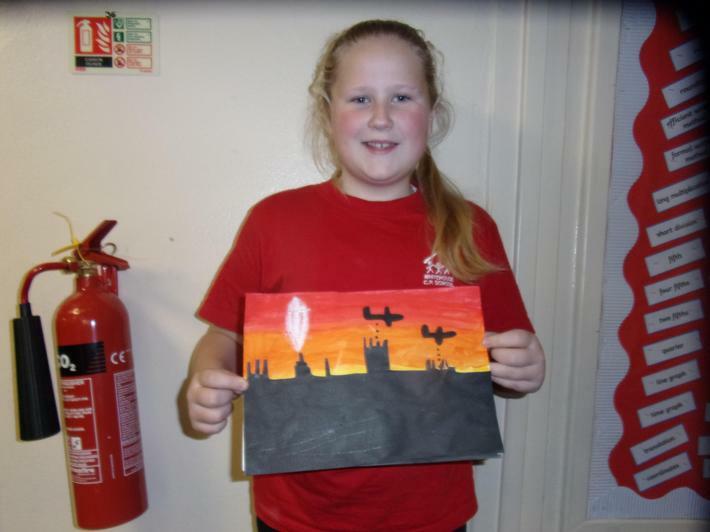 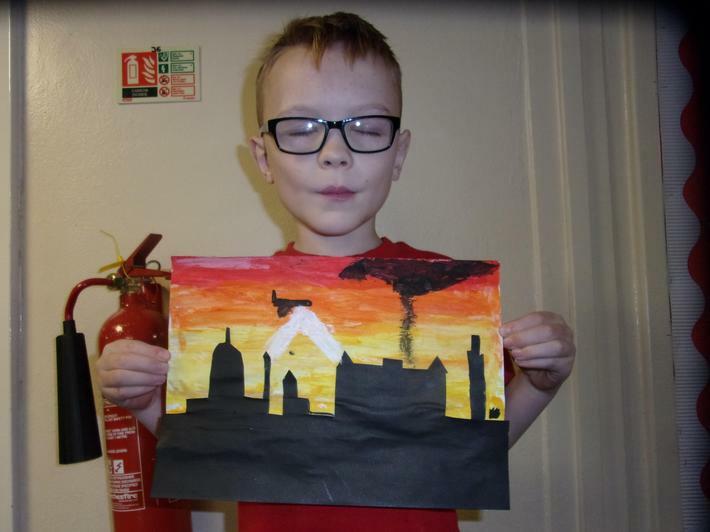 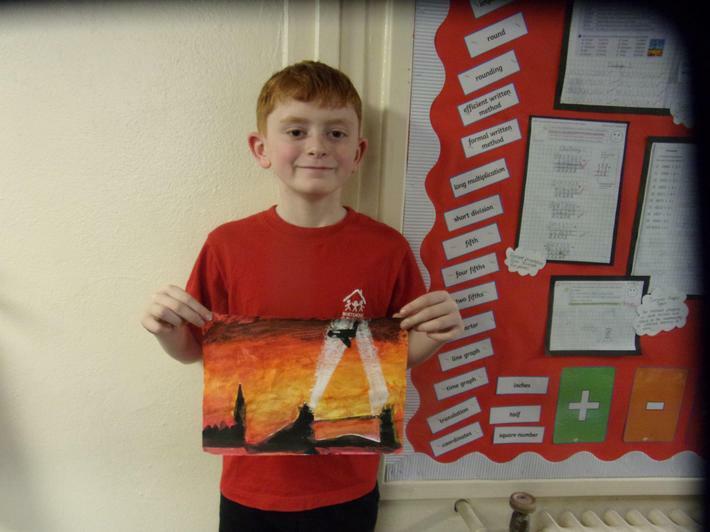 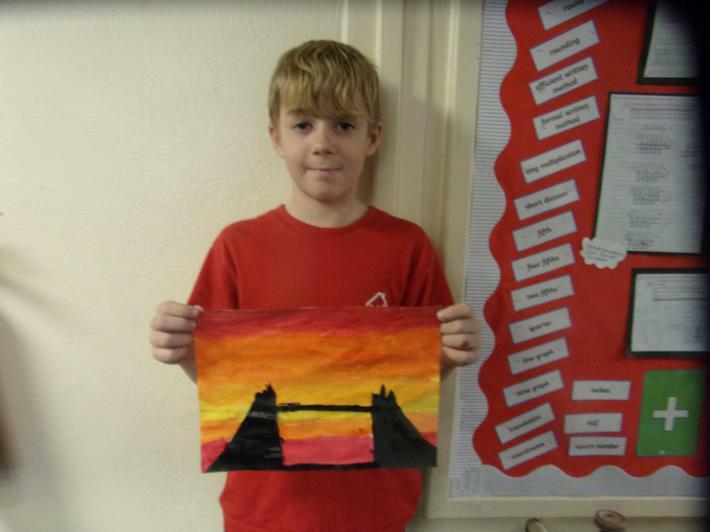 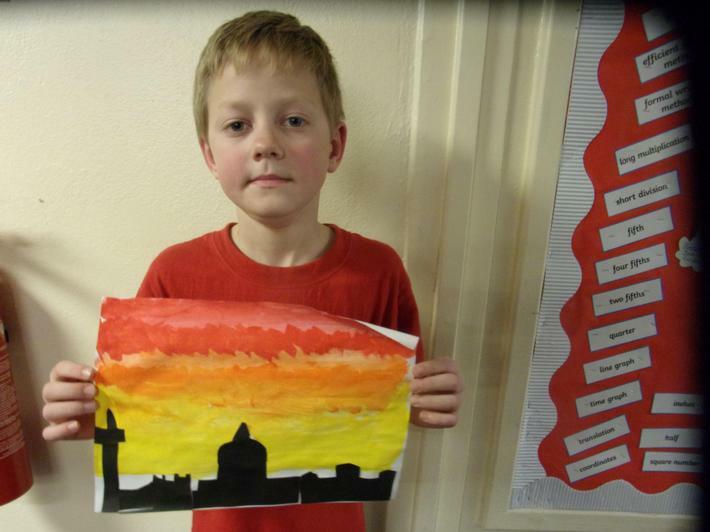 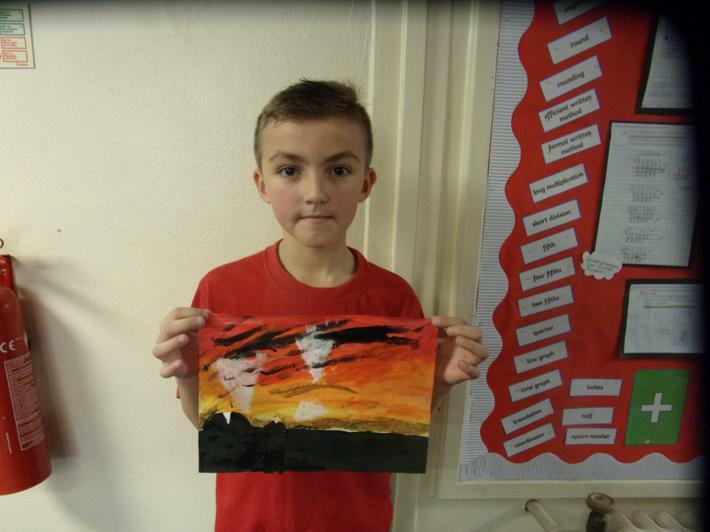 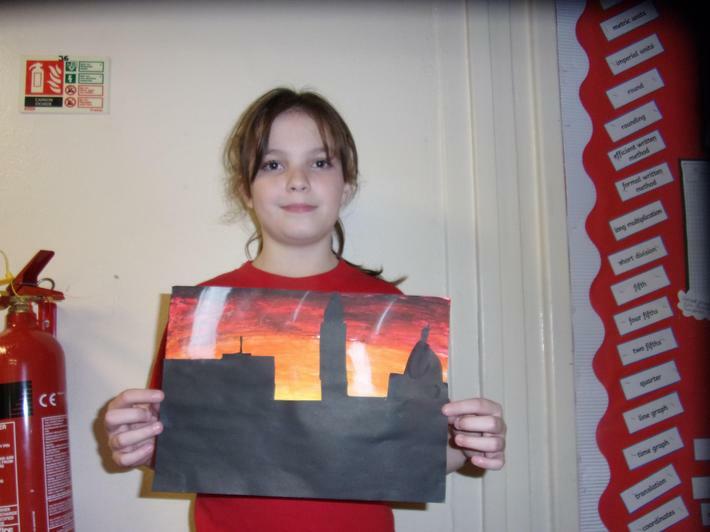 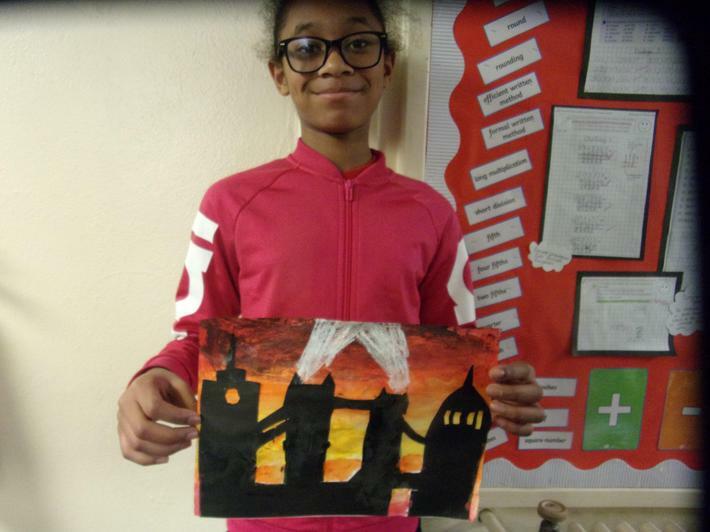 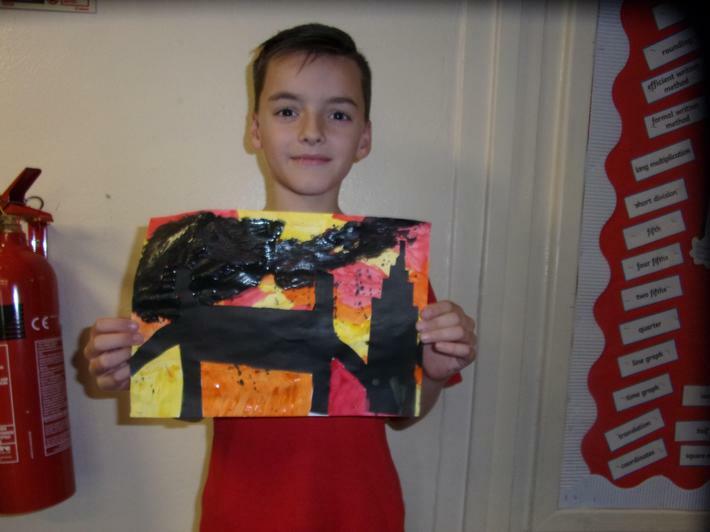 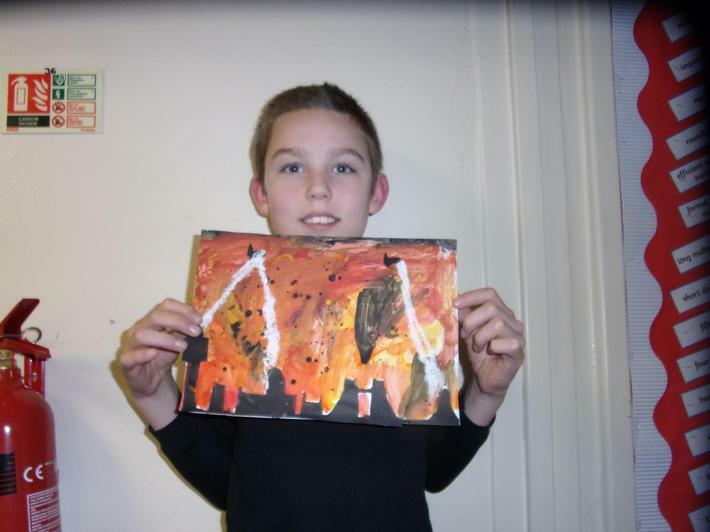 Silhouette paintings of 'The Blitz'. 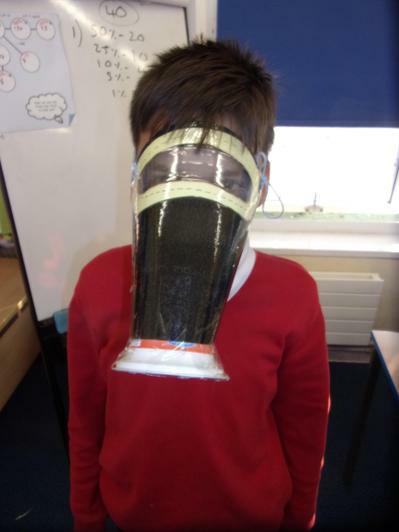 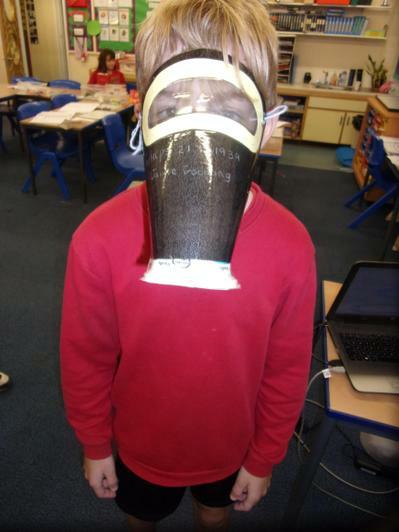 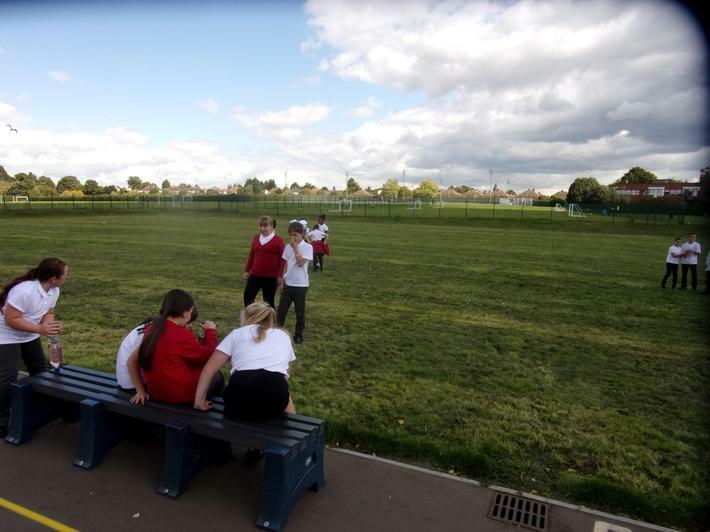 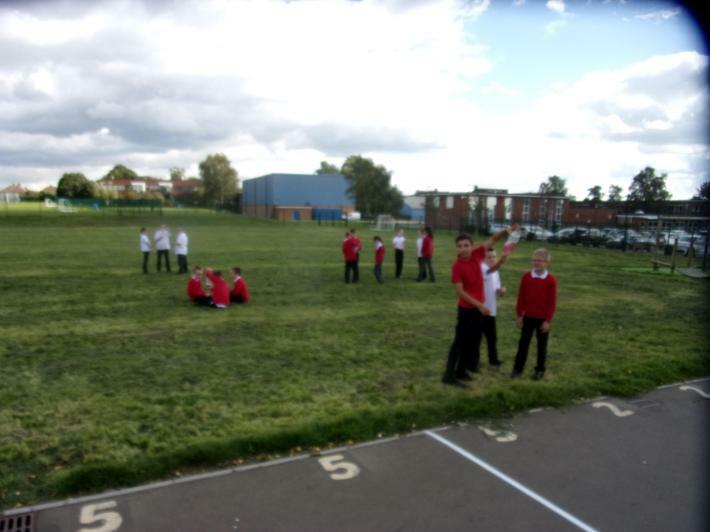 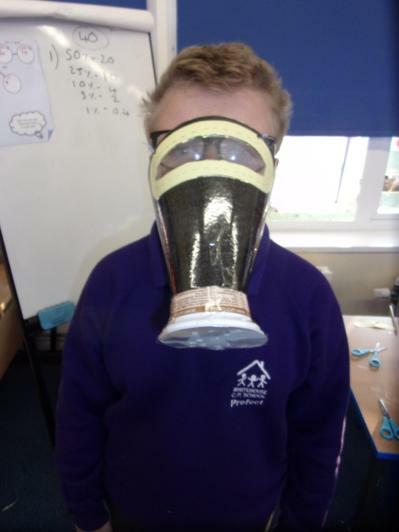 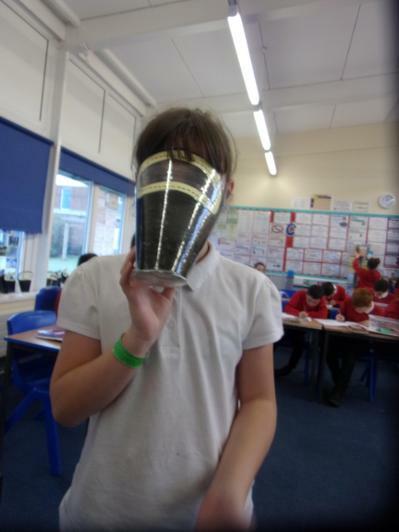 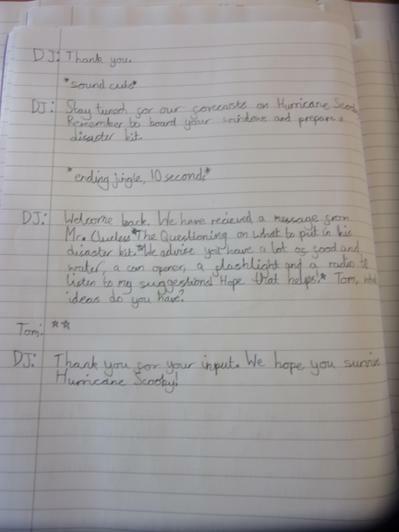 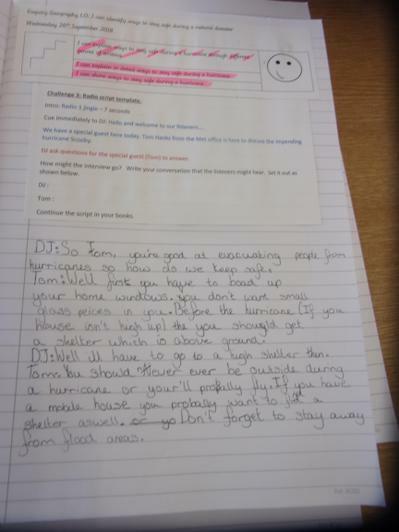 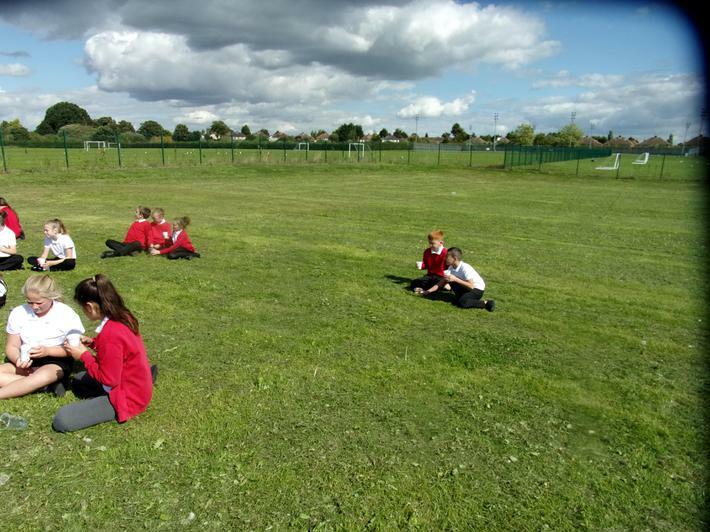 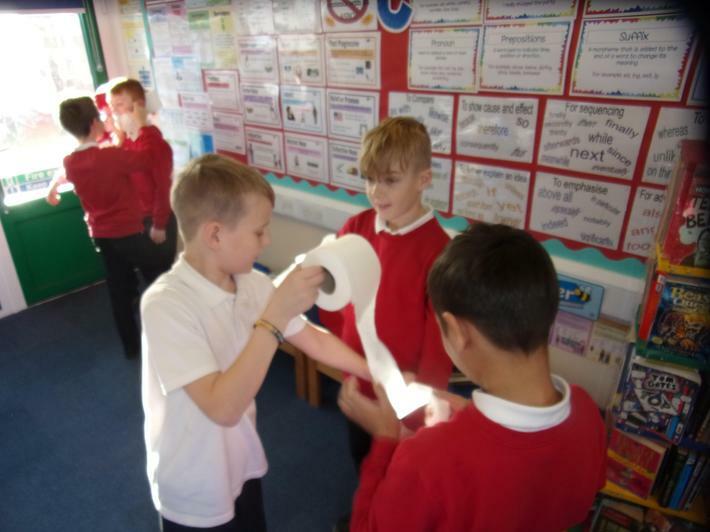 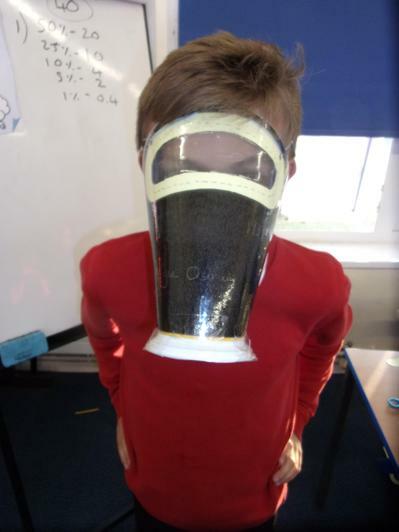 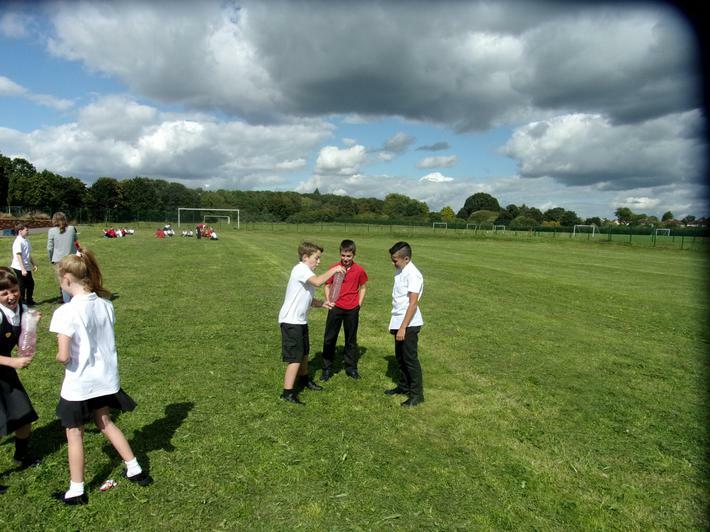 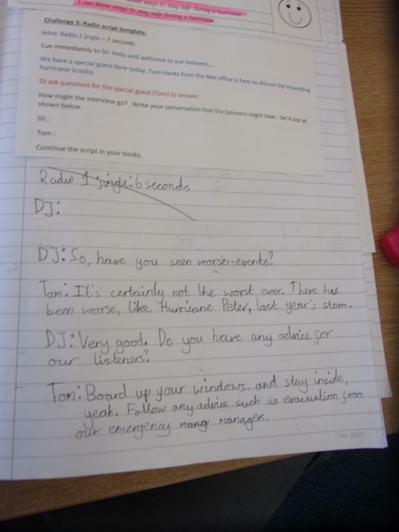 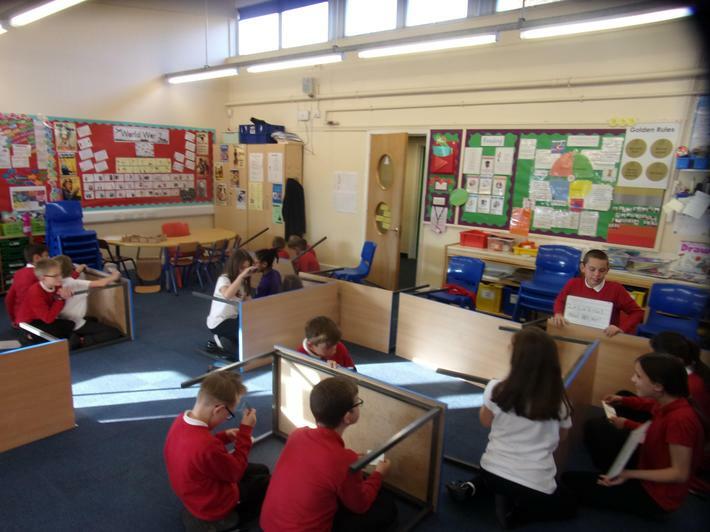 Toucans recently experimented with light: they attempted to send messages to each other and used the concept of periscopes to see the message. 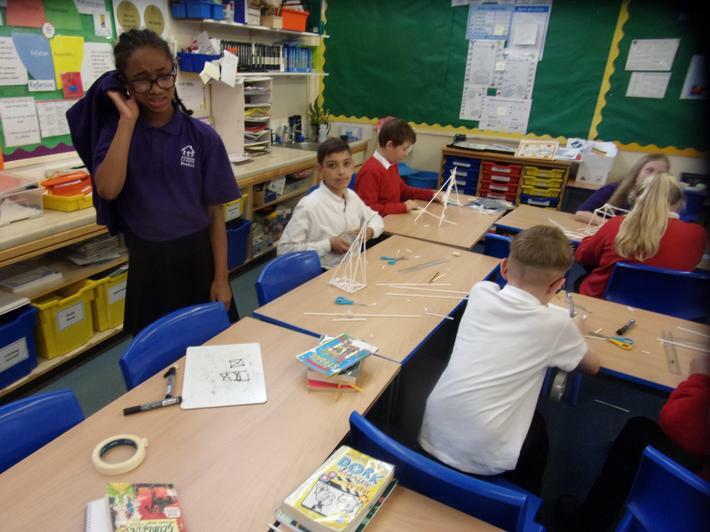 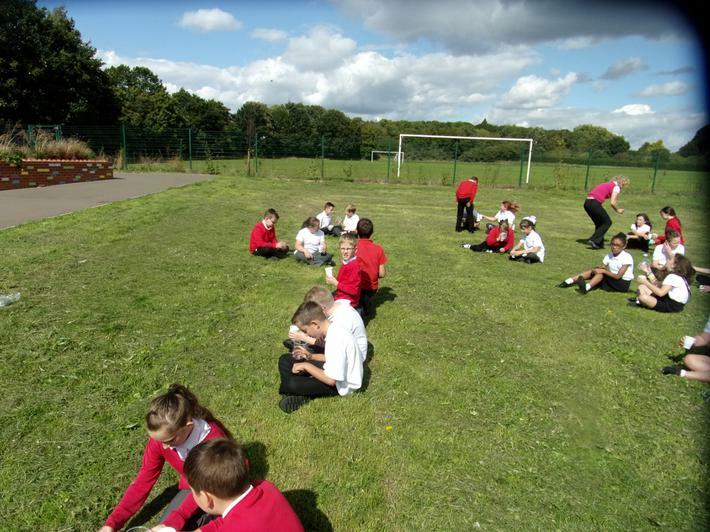 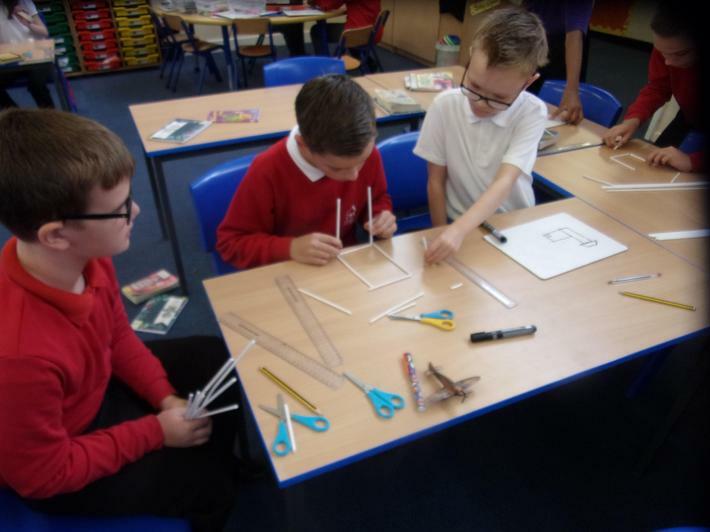 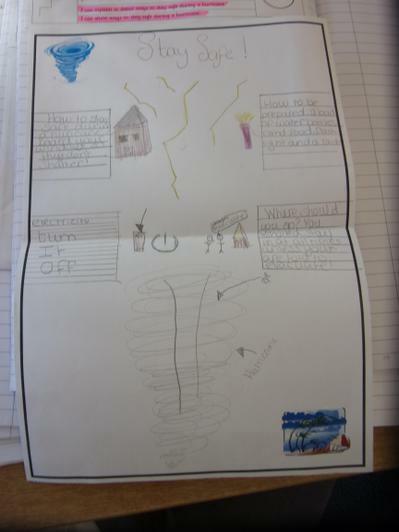 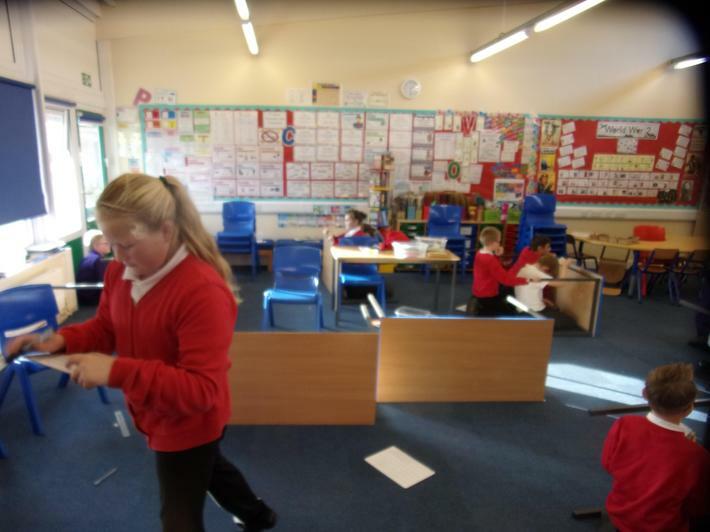 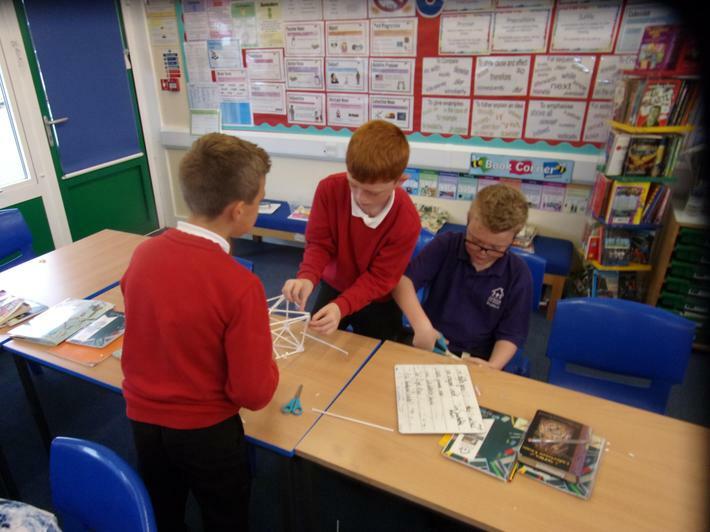 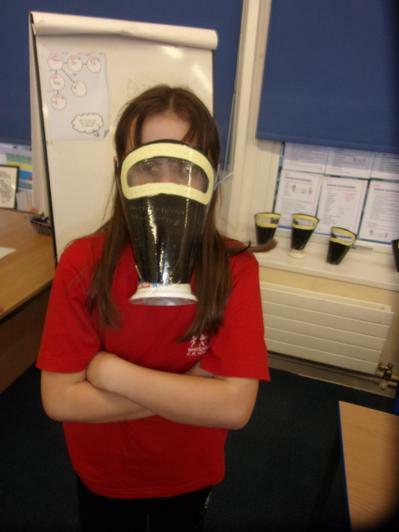 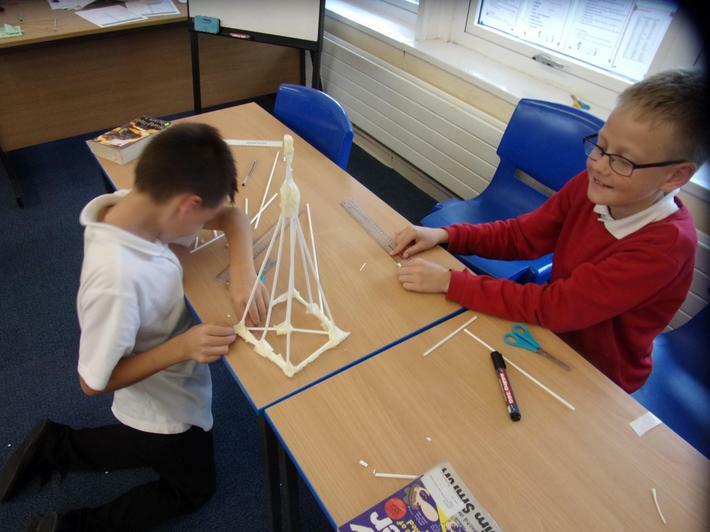 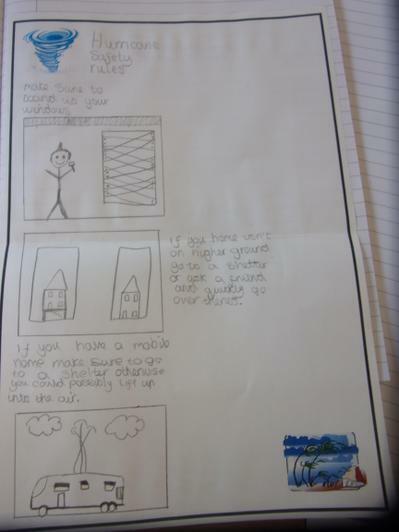 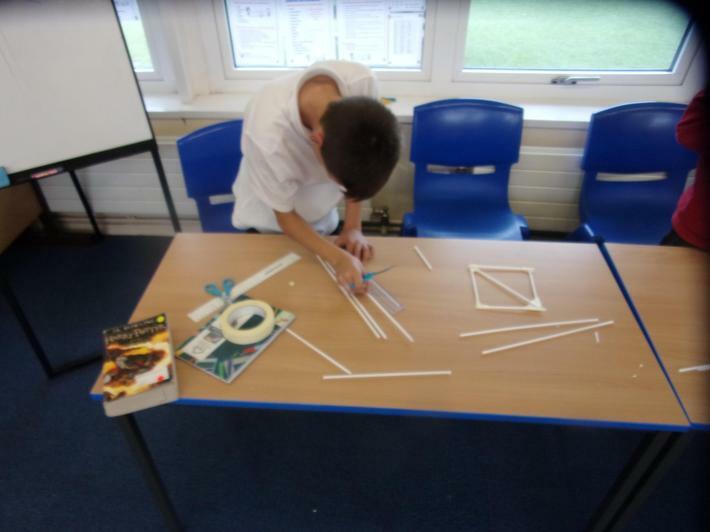 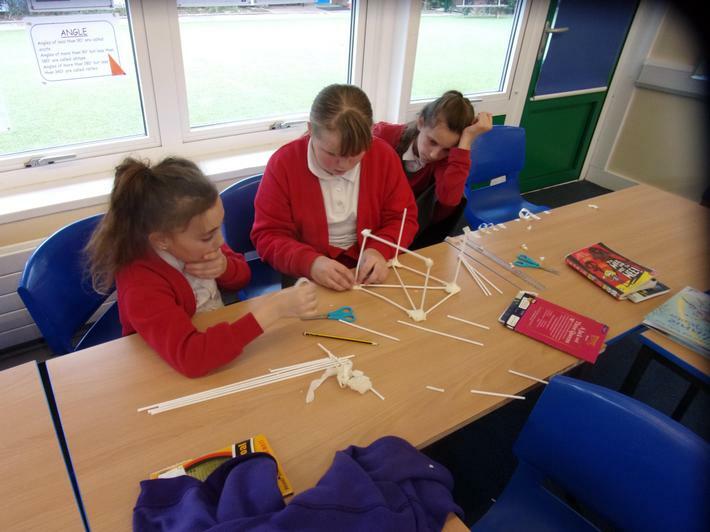 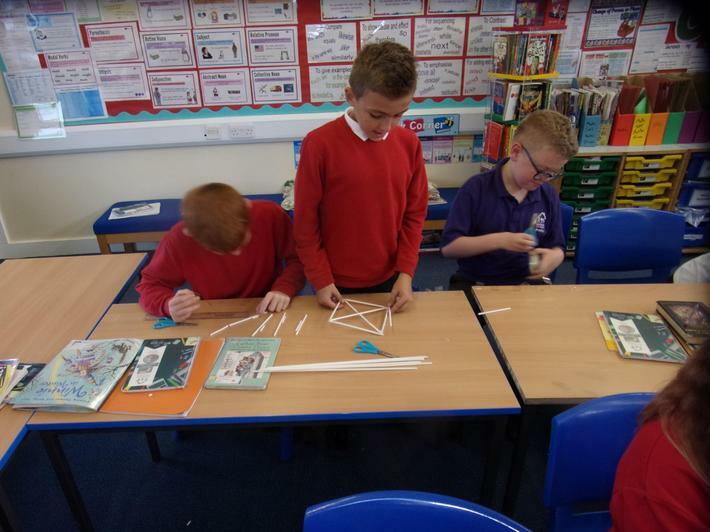 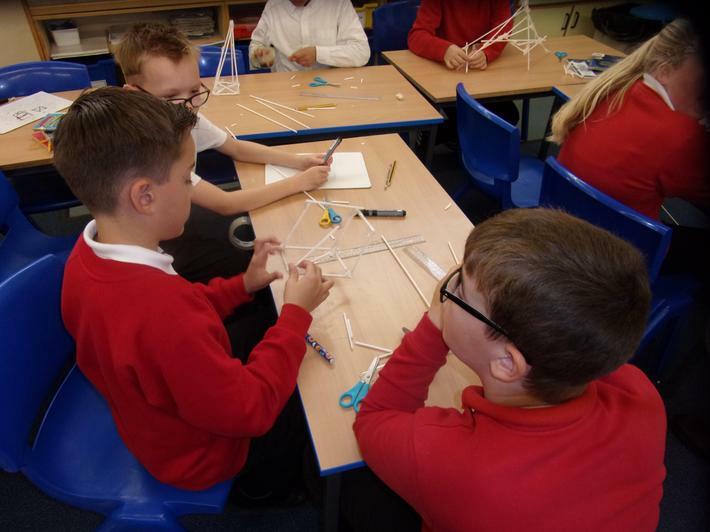 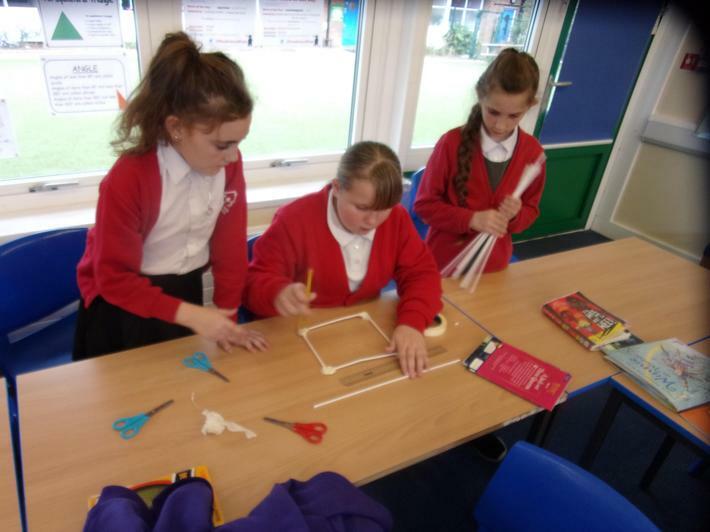 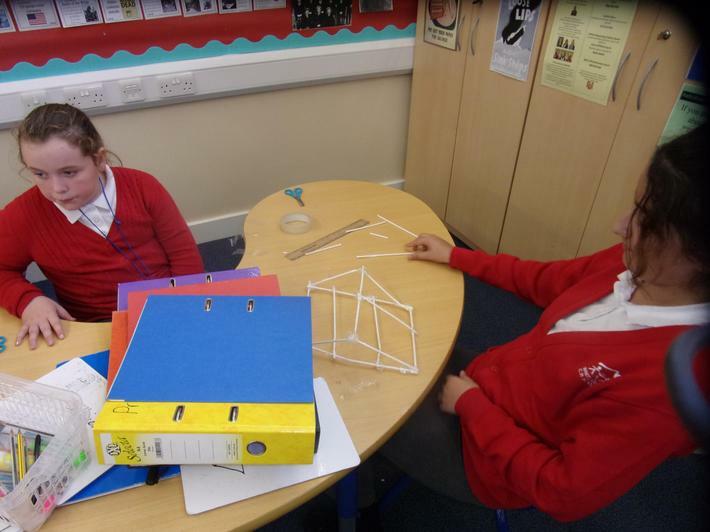 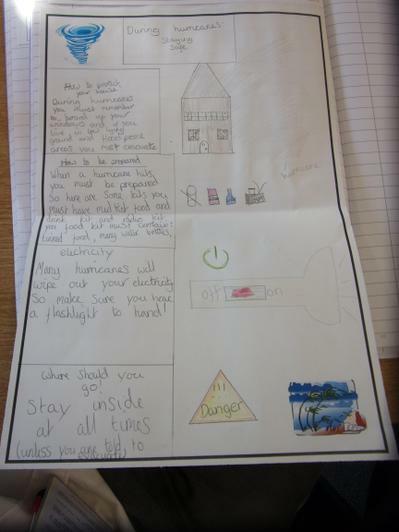 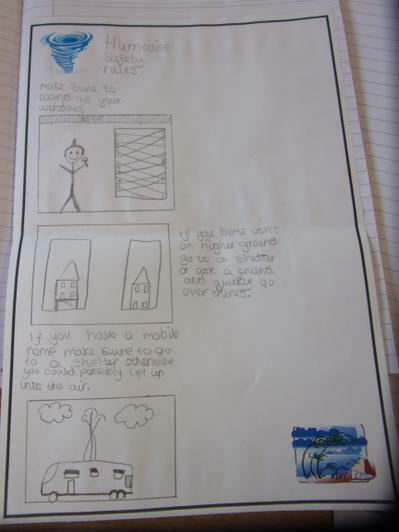 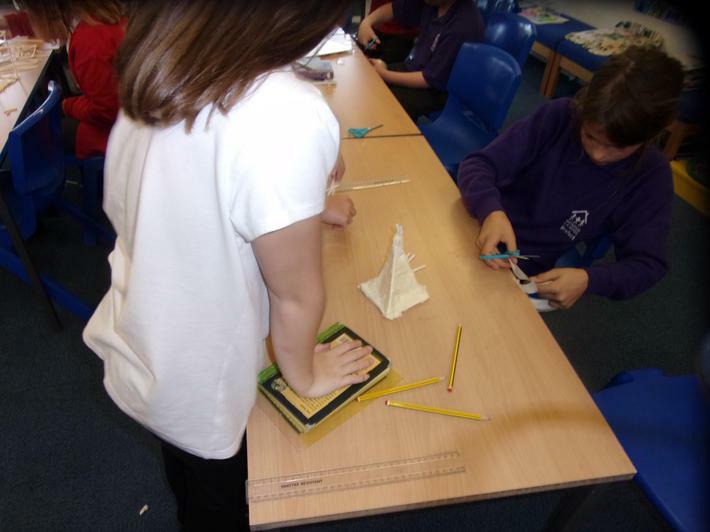 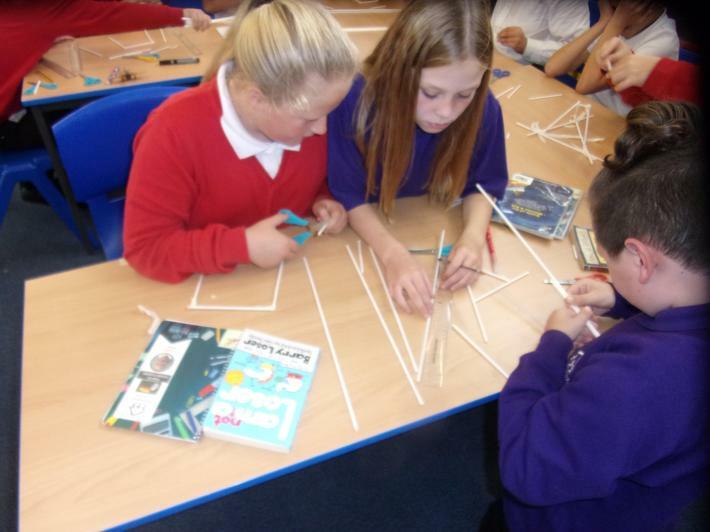 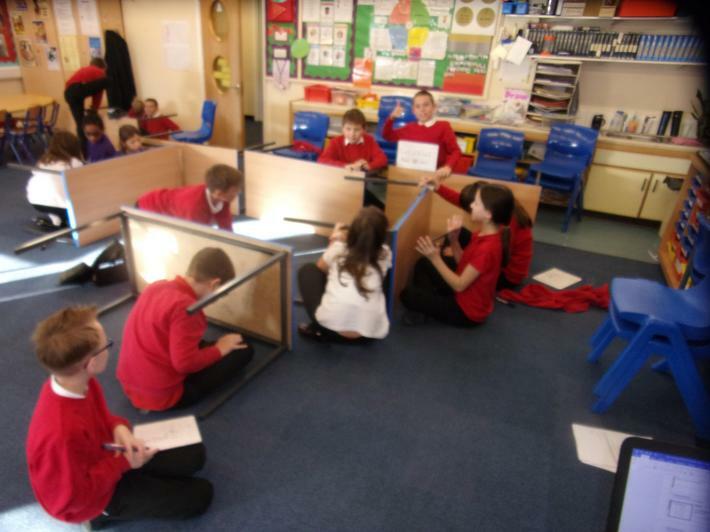 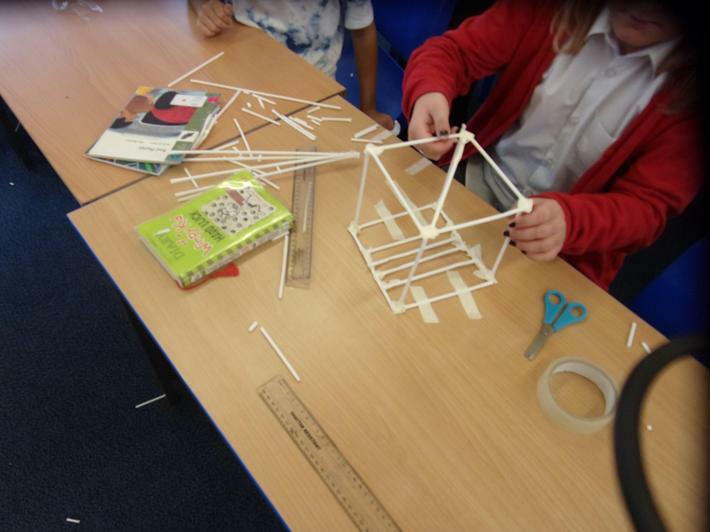 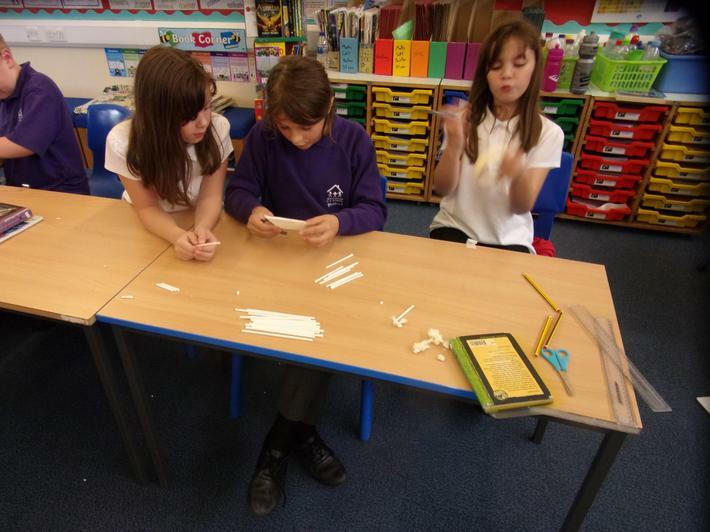 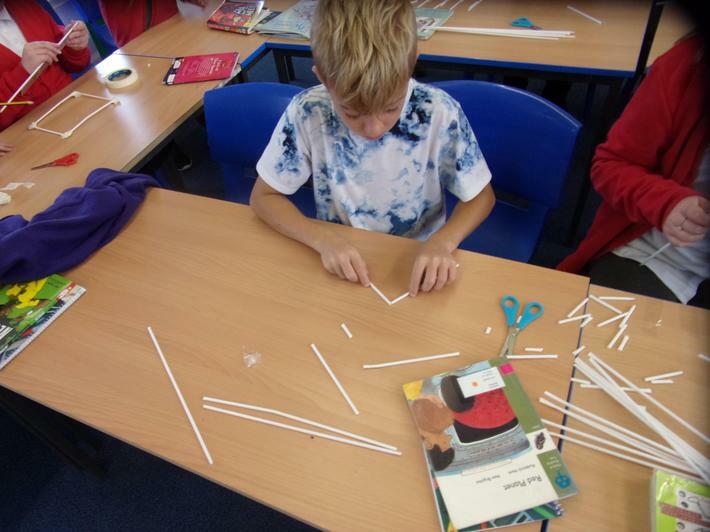 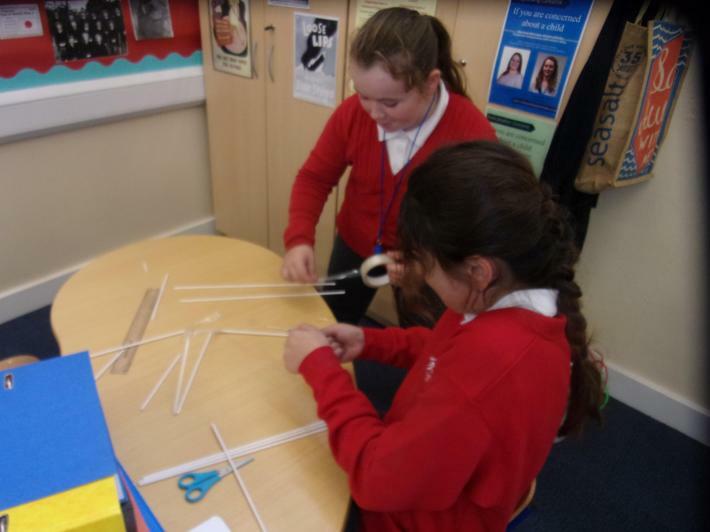 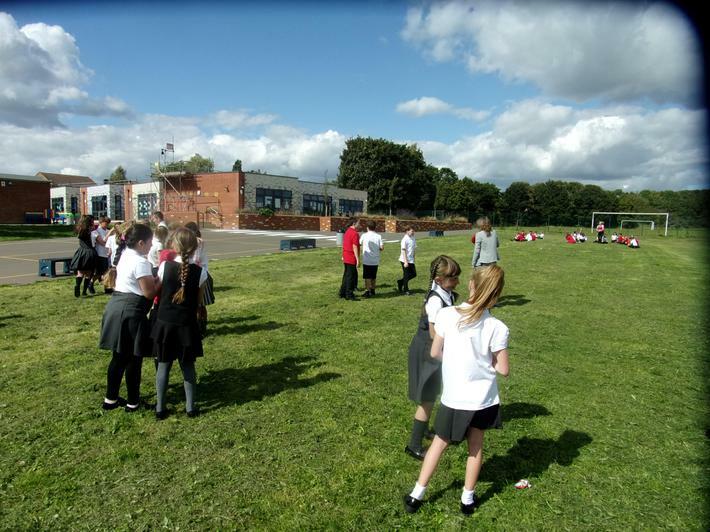 Pictures of the Toucans making earthquake resistant structures. 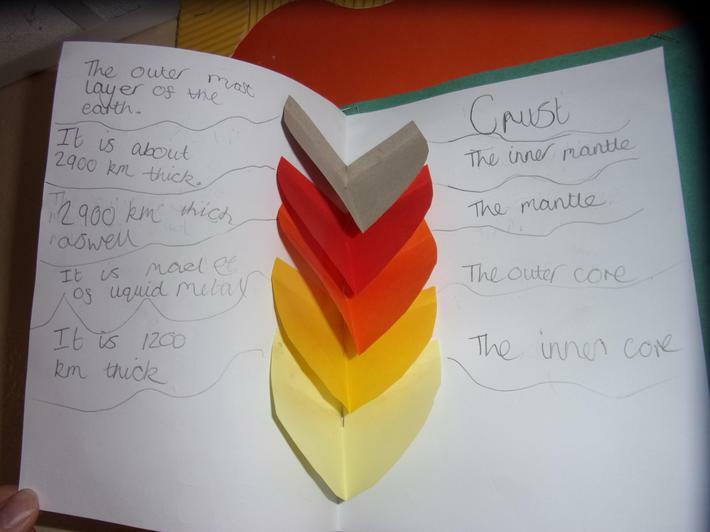 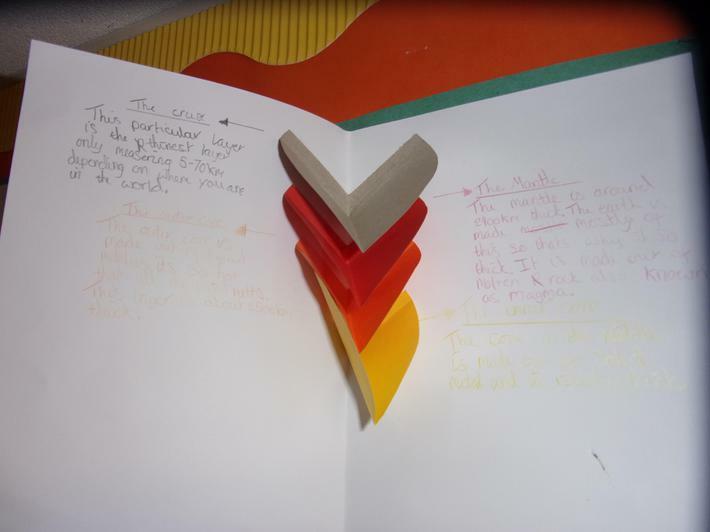 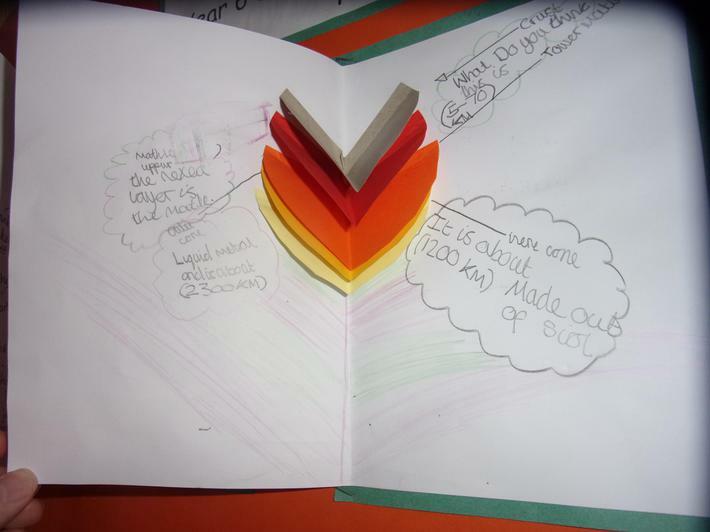 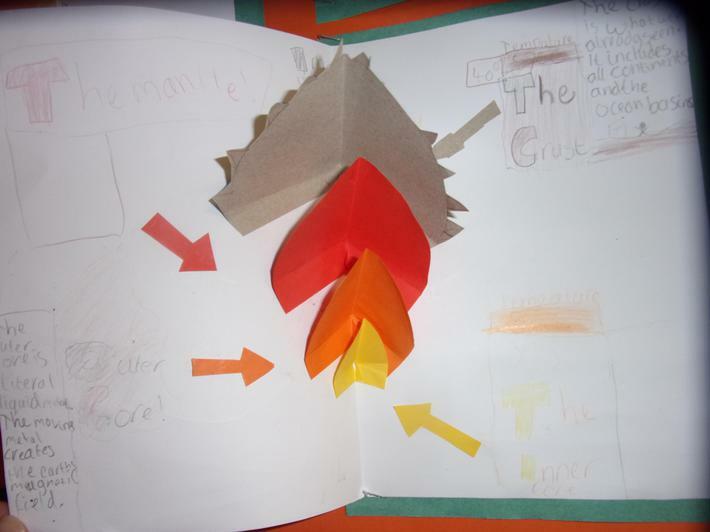 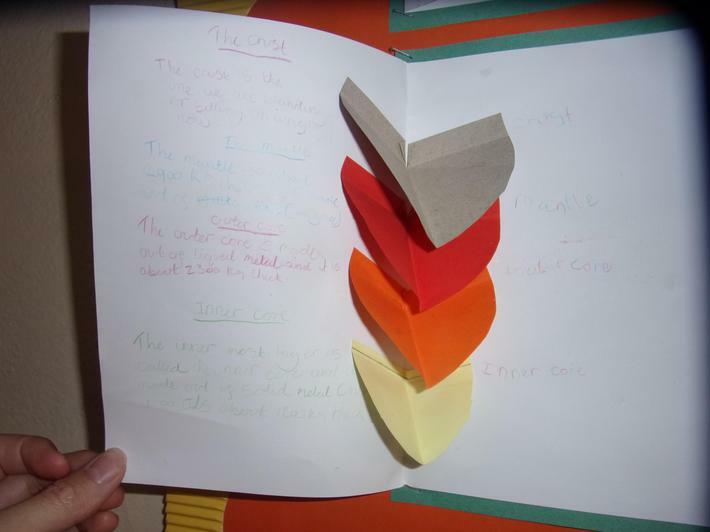 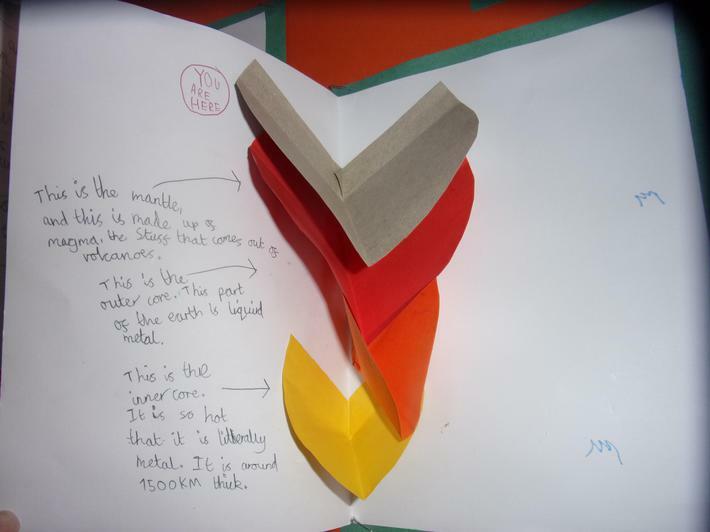 Pop-up cards: Layers of the earth. 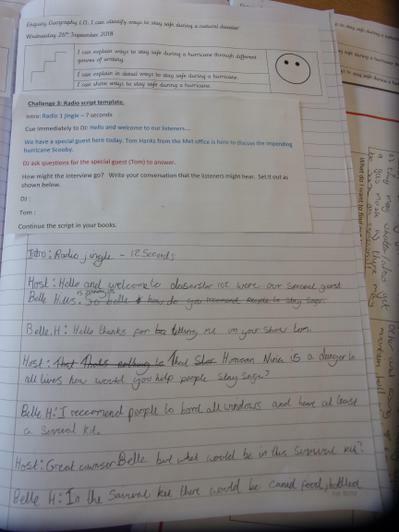 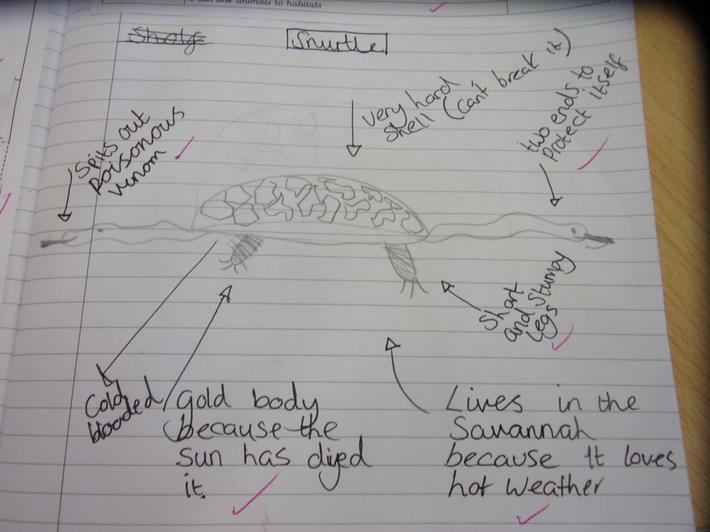 Science - Evolution and inheritance. 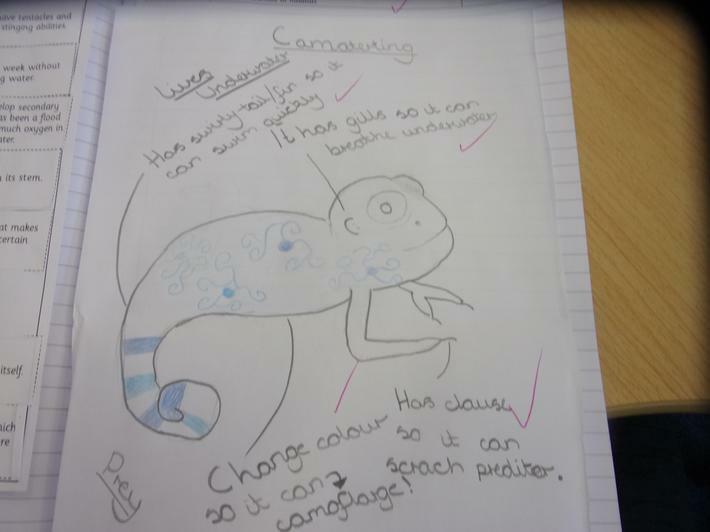 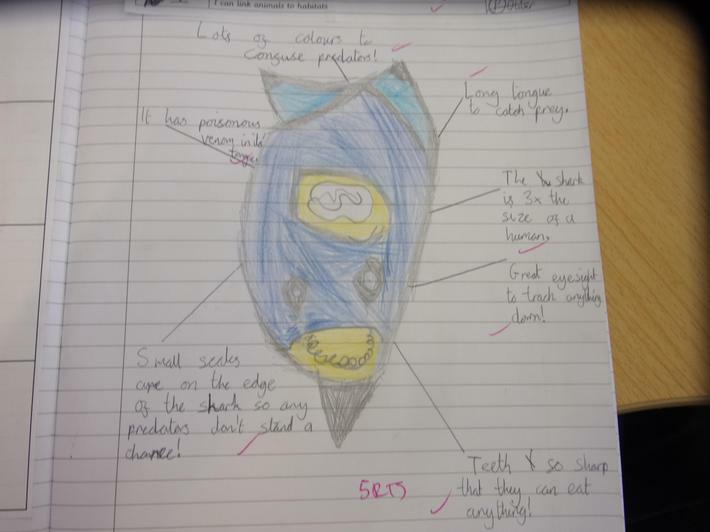 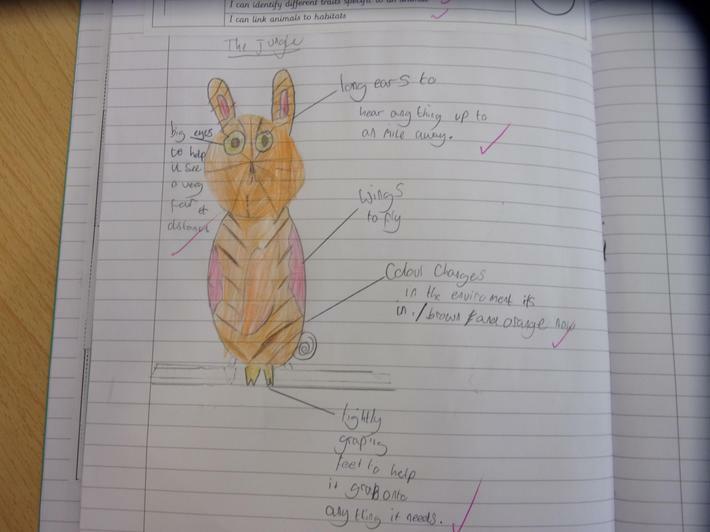 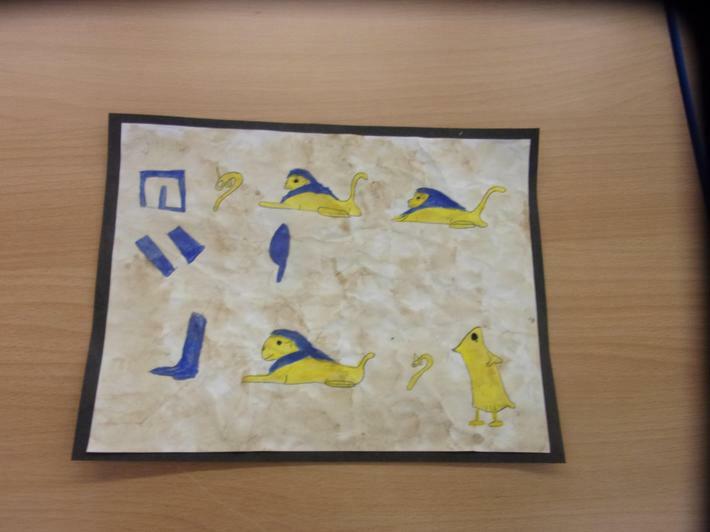 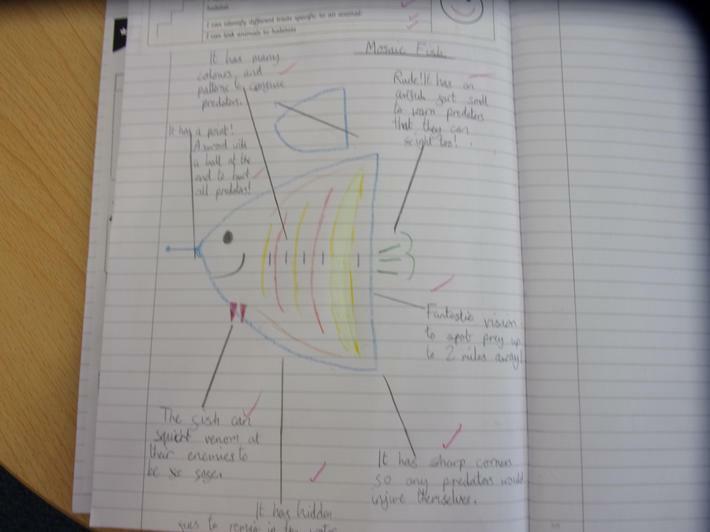 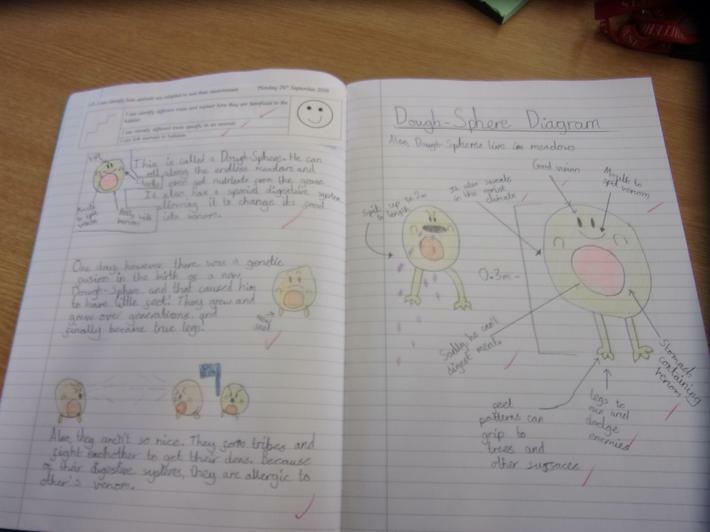 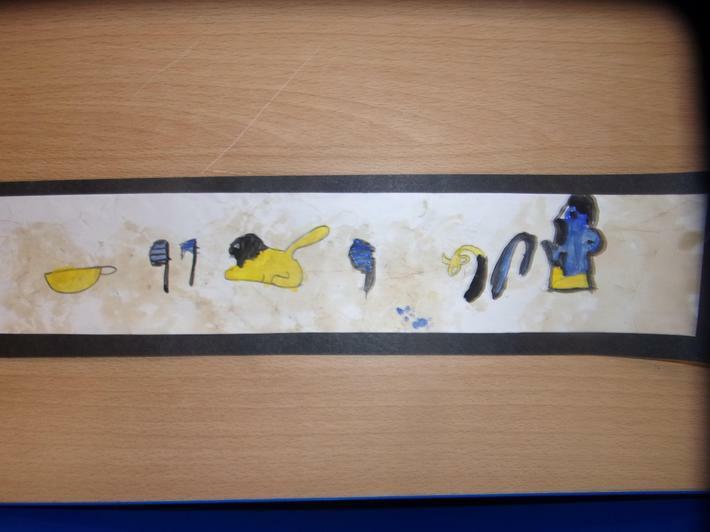 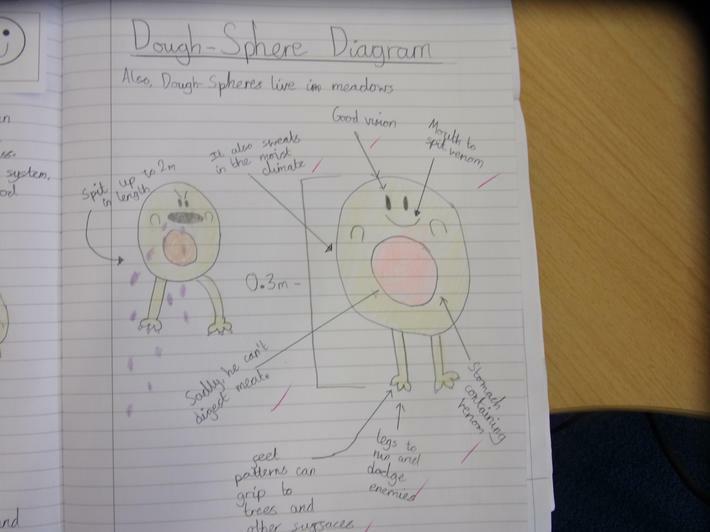 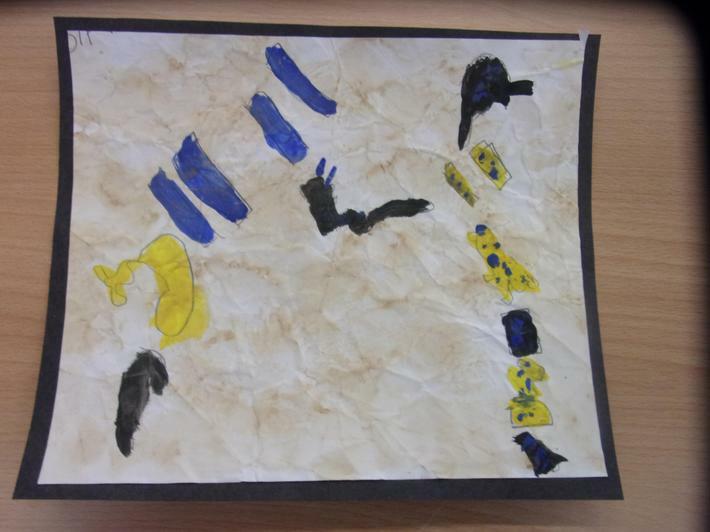 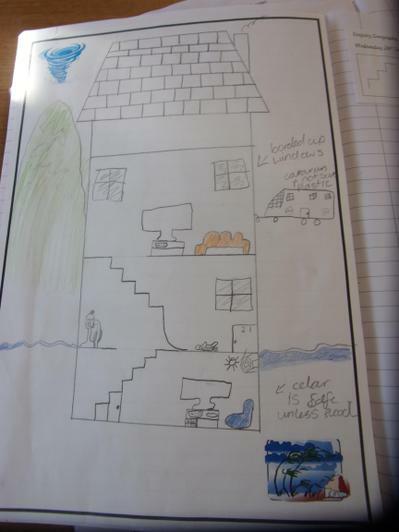 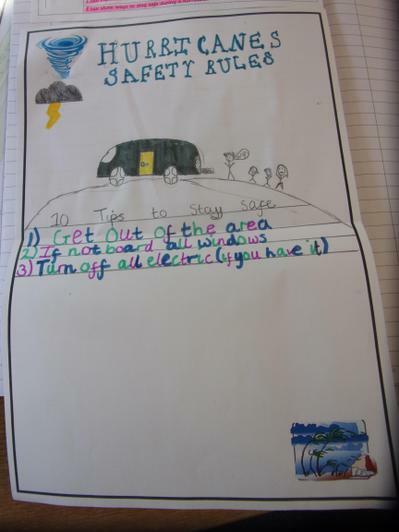 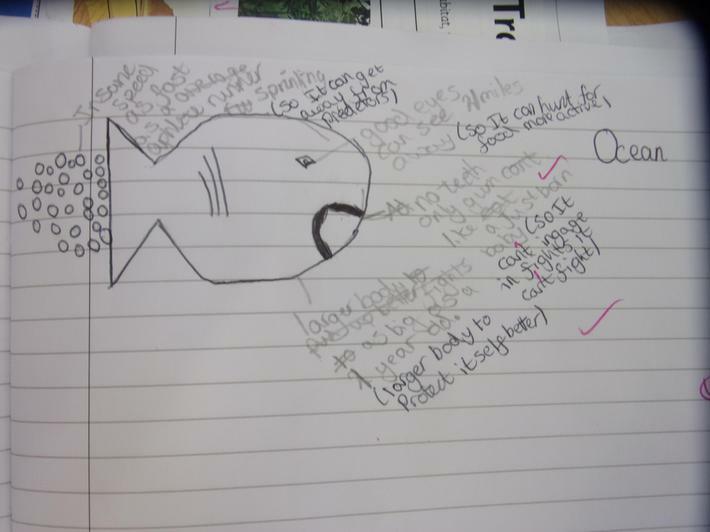 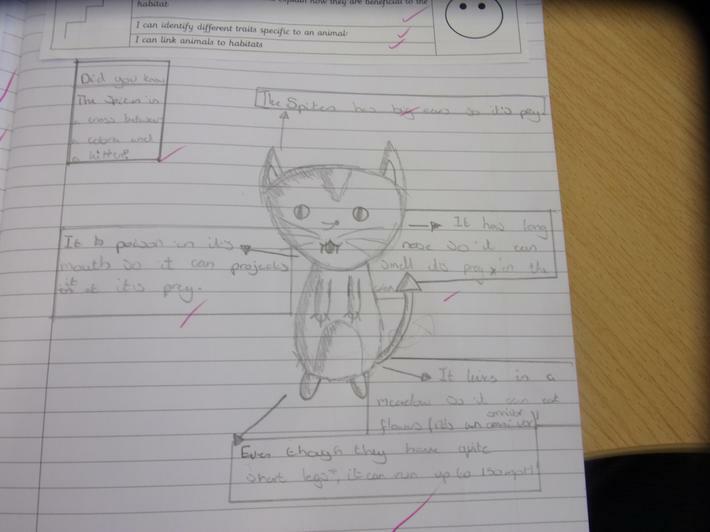 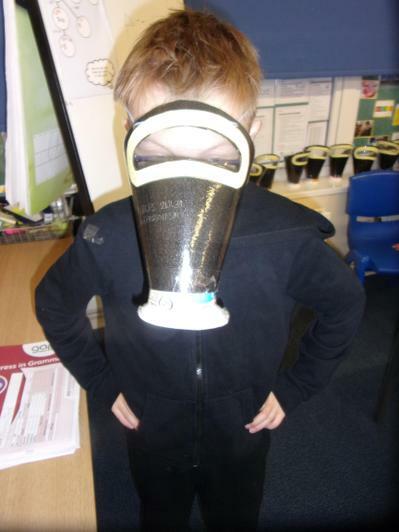 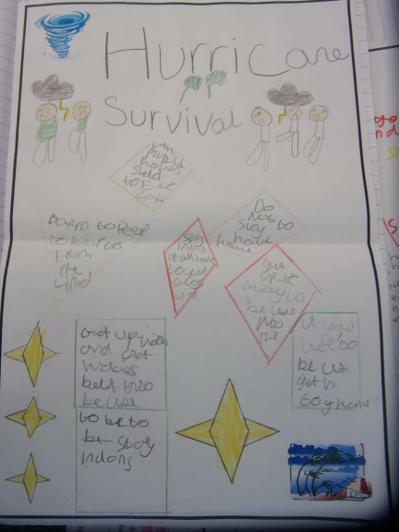 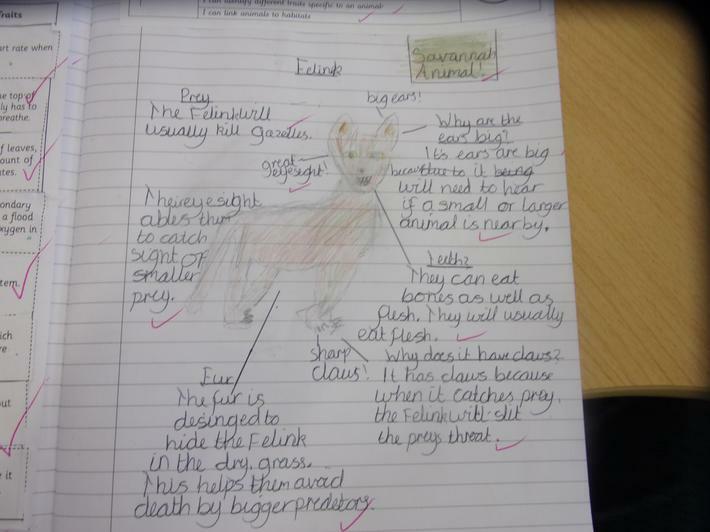 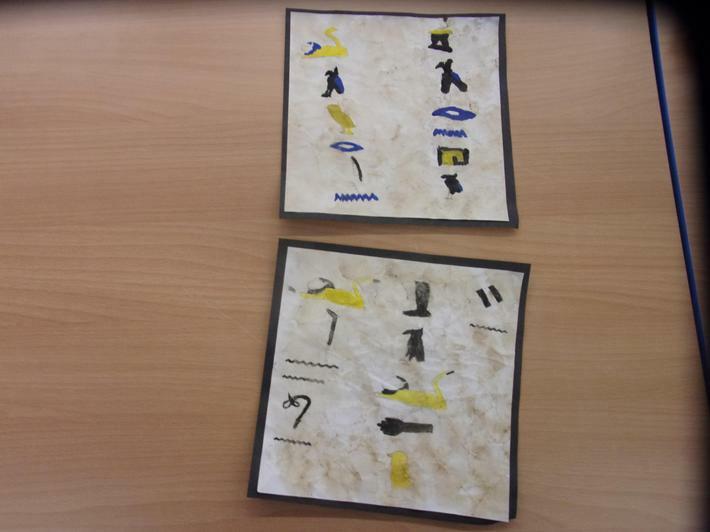 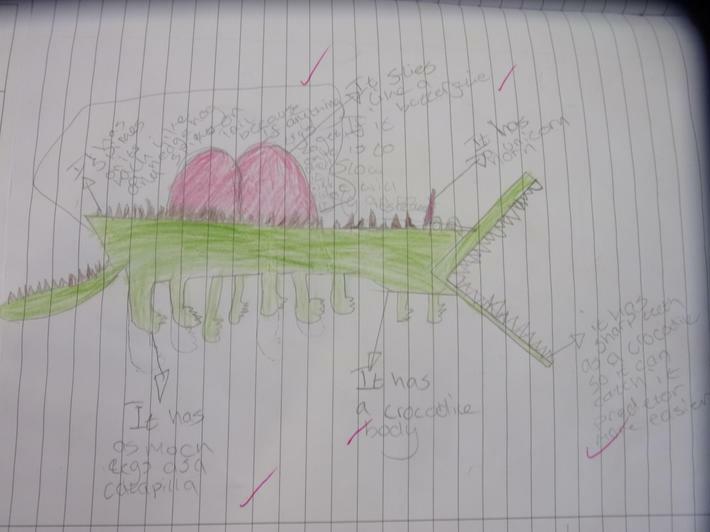 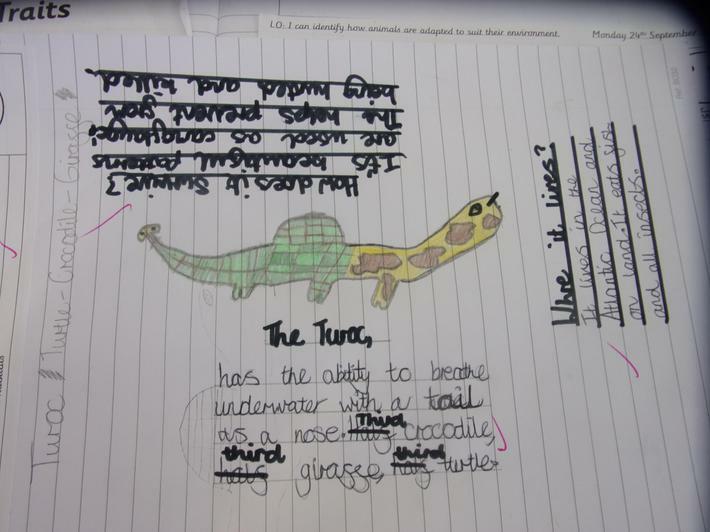 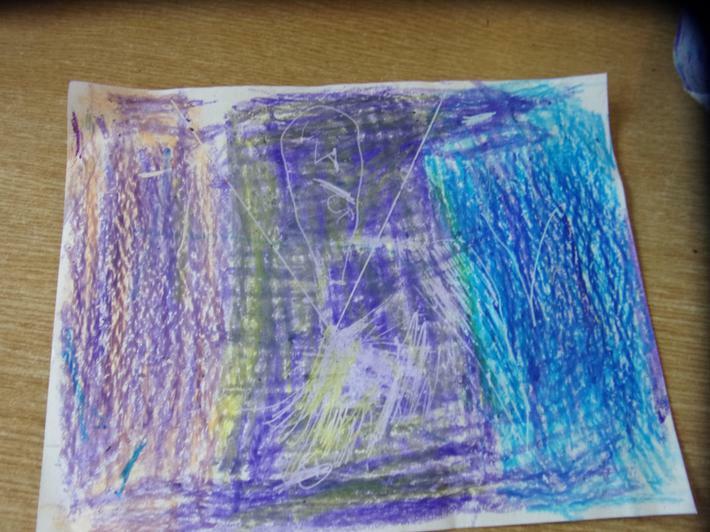 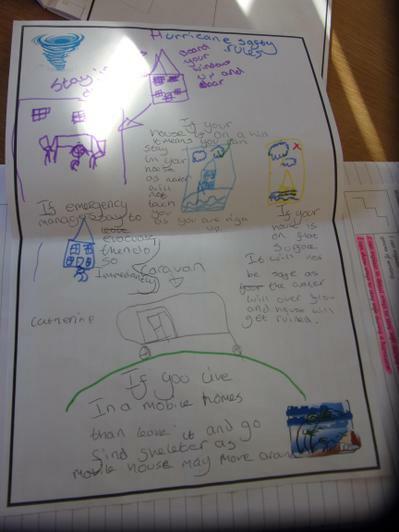 The children had a go at creating their own creatures for a specific habitat. 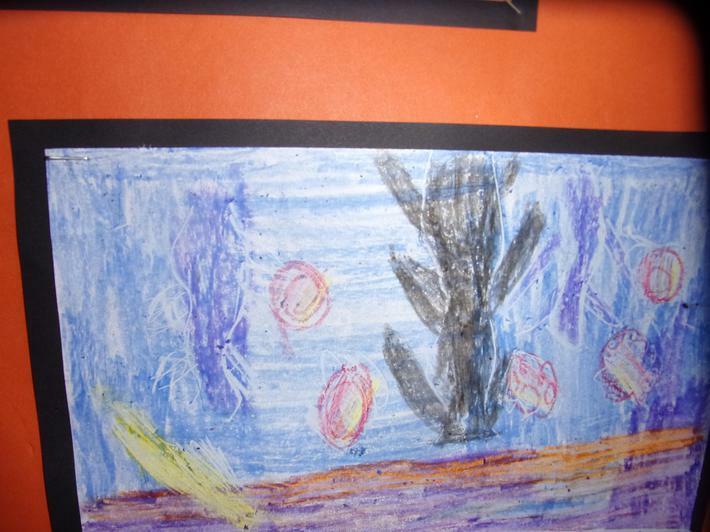 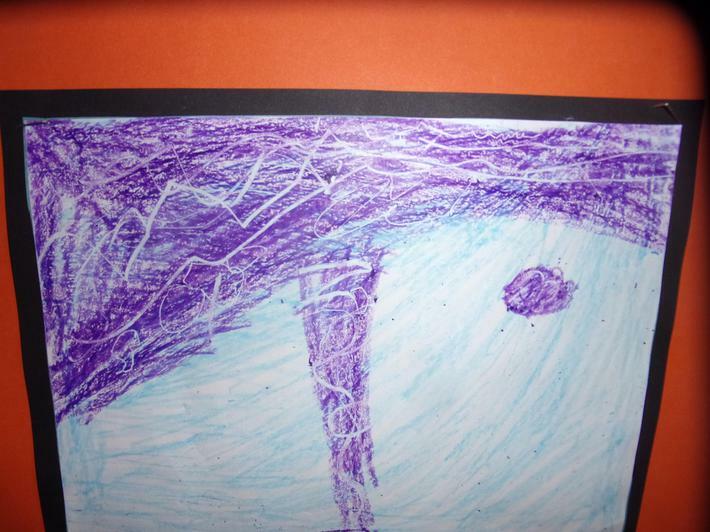 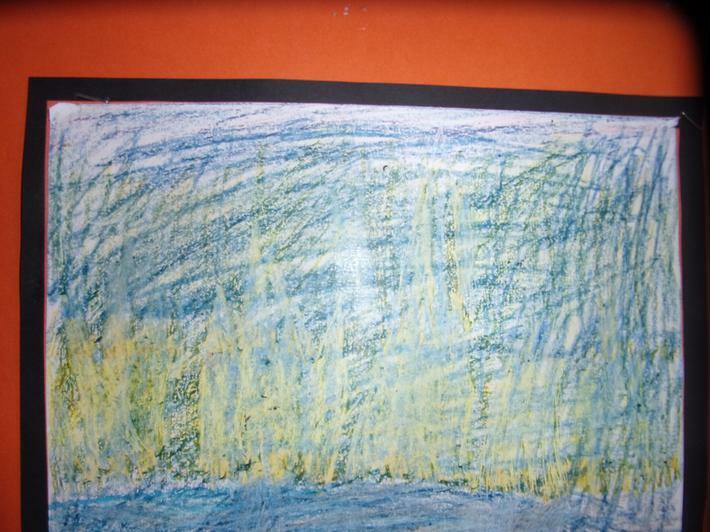 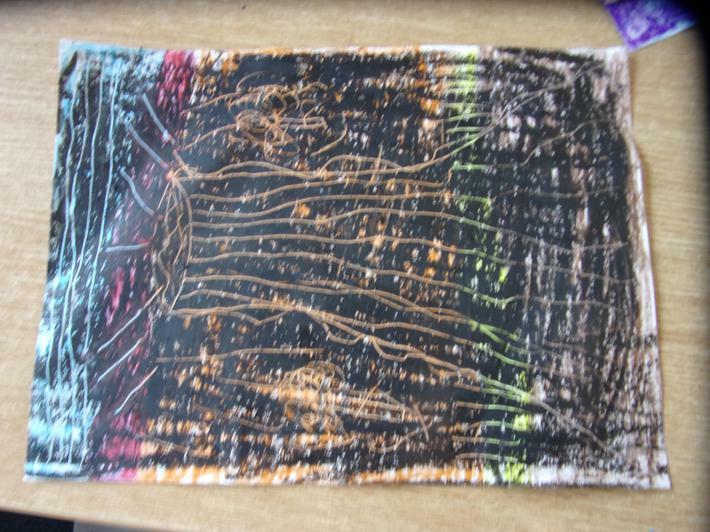 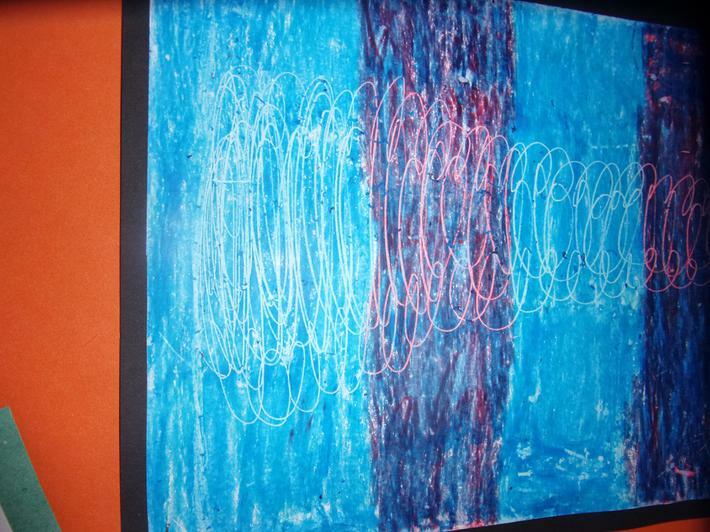 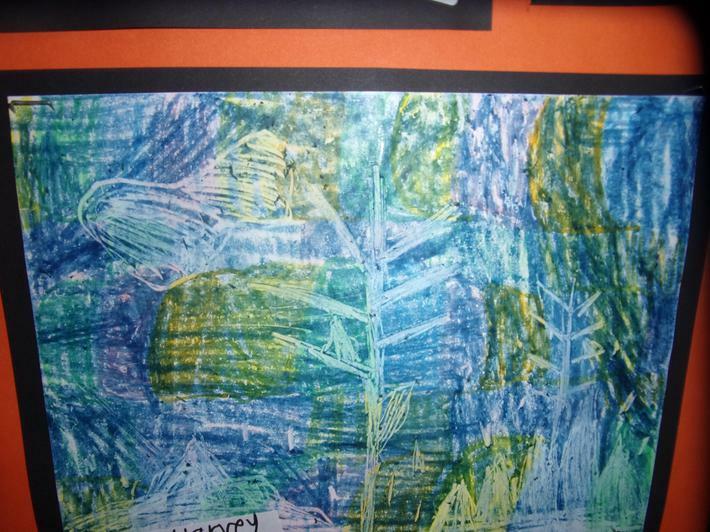 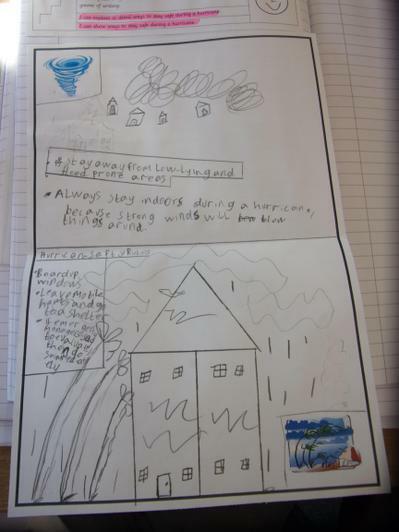 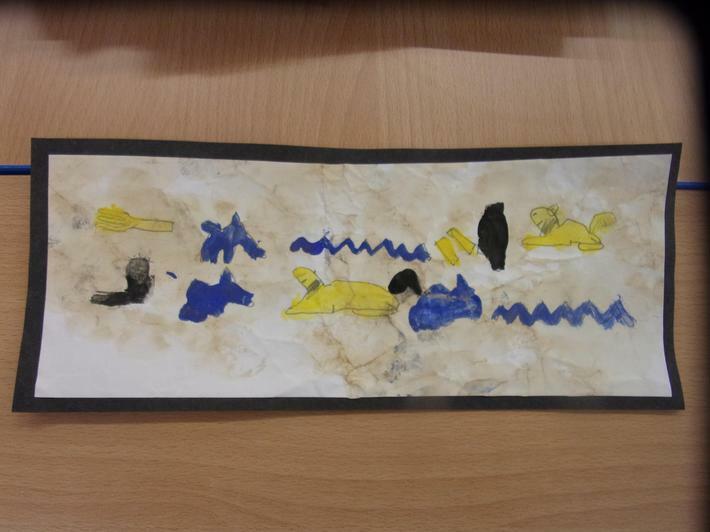 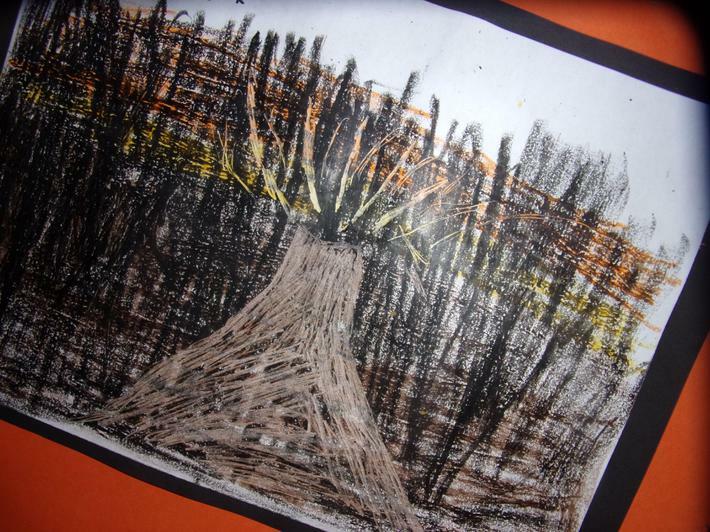 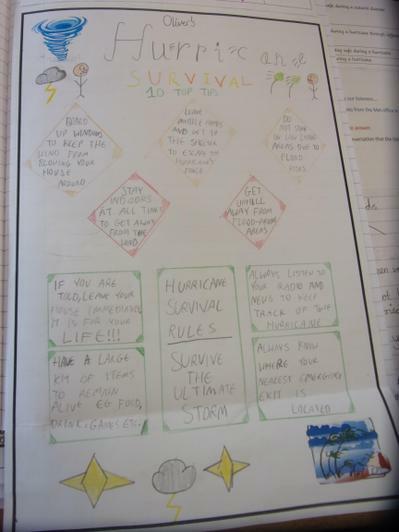 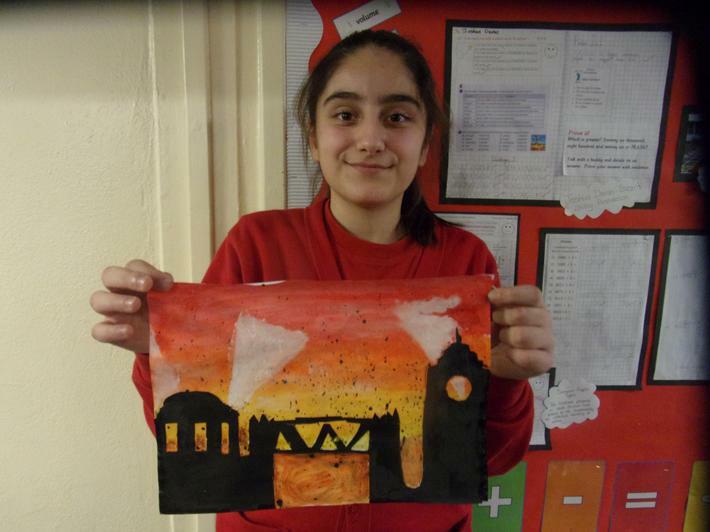 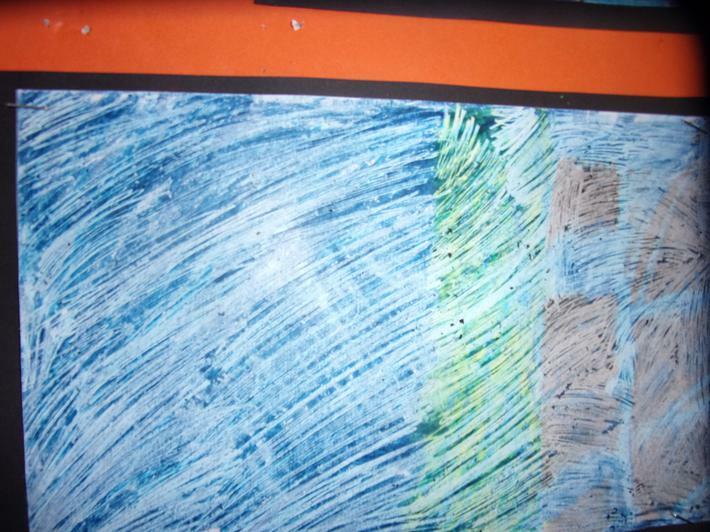 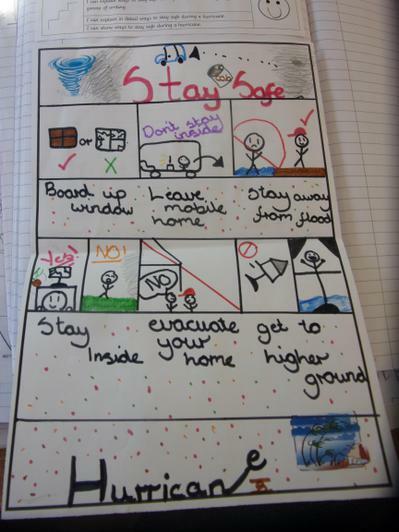 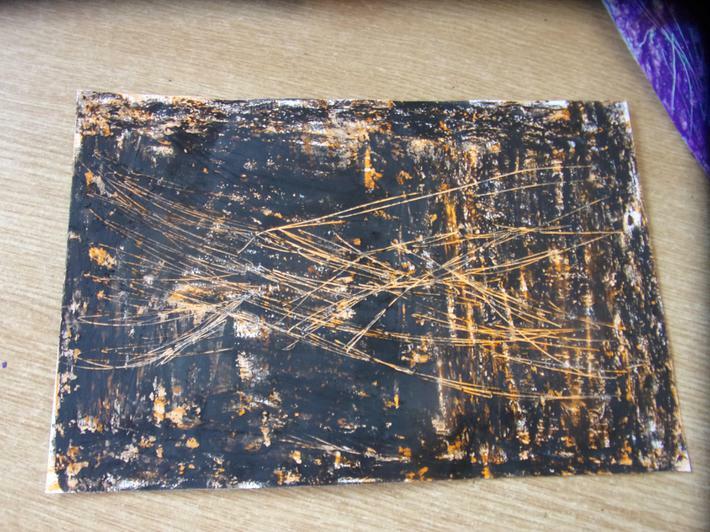 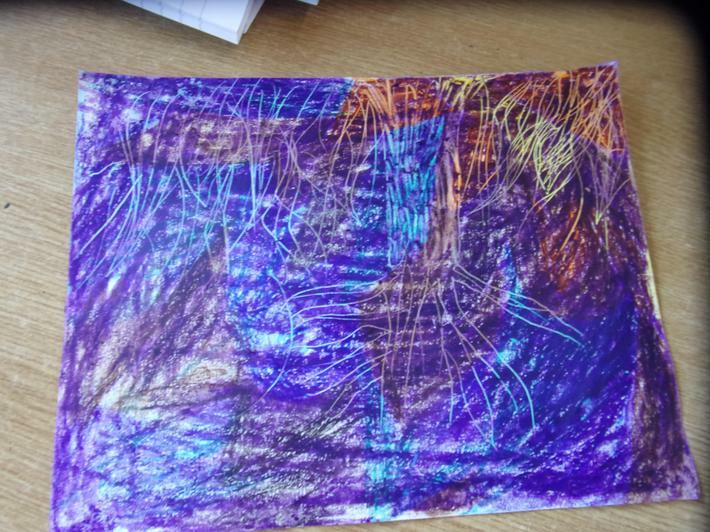 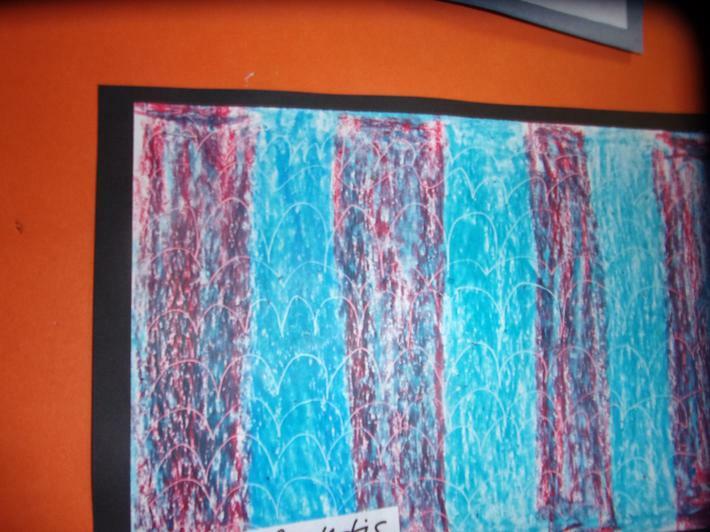 Sgraffito artwork based on natural disasters. 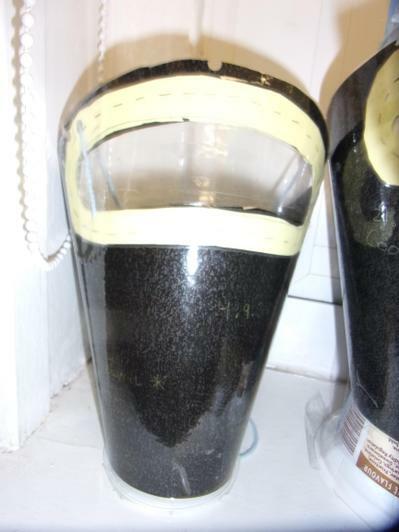 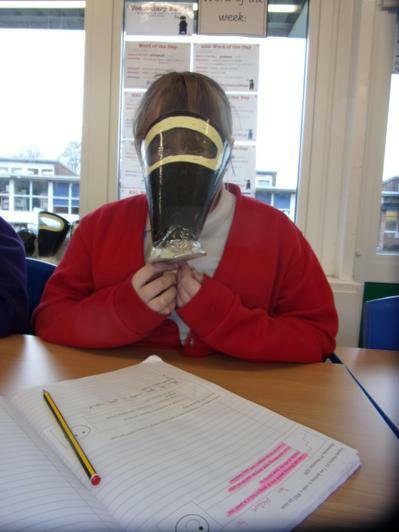 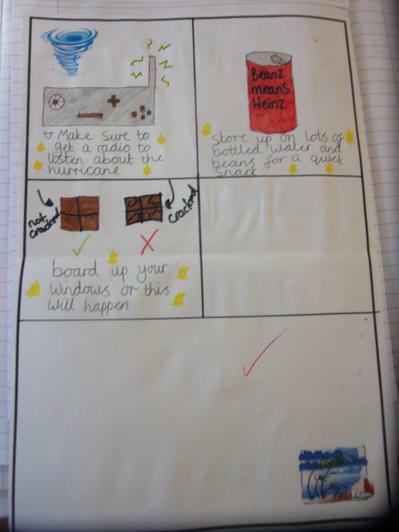 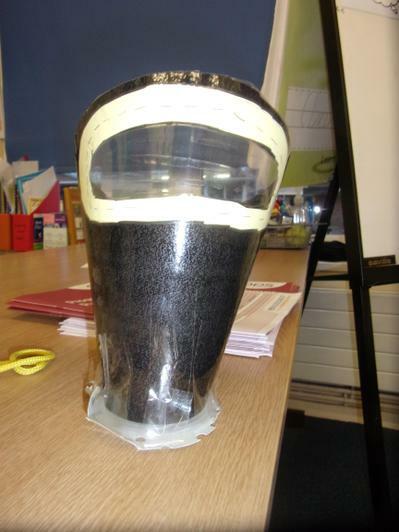 Hurricane in a bottle and mini volcanic eruption experiments.